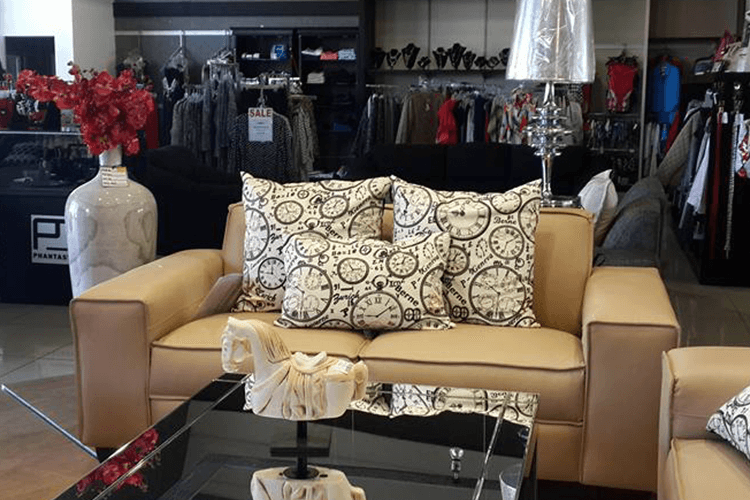 Solomons Fashion and Décor is the ultimate fashion and décor destination, offering a range of top quality local and imported fashion & décor labels, which promise to brand your world for less. Solomons’ legacy has been around since the early 1890’s and has since grown into a multi branch retailer with 5 other multi brand stores located in and around Pretoria and Johannesburg. Estelle continued to say “Selecting a new retail system has been a priority for a long time and after considering various options, we’re happy to be implementing the KCS retail solution in our stores. We look forward to being a single integrated multi-store business, with head-office control in place, that has clear visibility of all activities in store, tracking our stock movement, stocking efficiently, and producing one set of management reports monthly. Selecting a new retail system has been a priority for a long time and after considering various options, we’re happy to be implementing the KCS retail solution in our stores. 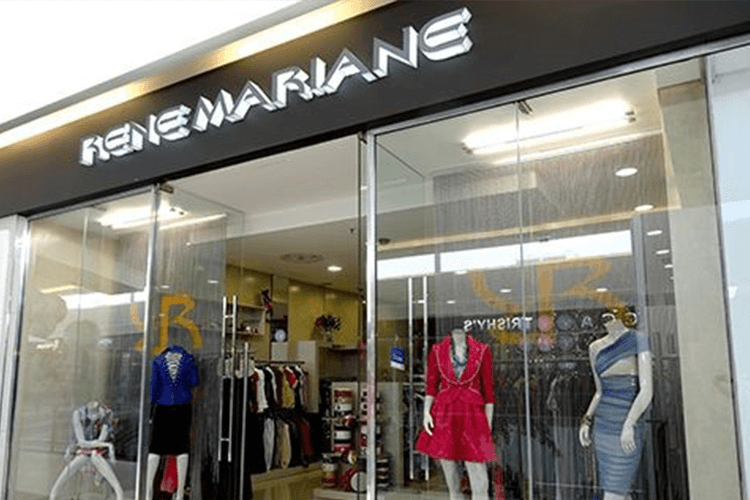 Rene Mariane, an exclusive woman’s fashion label, chose to implement the KCS Retail solution as part of their plans to grow their business within the South African market. The KCS Retail solution is an end-to-end solution that combines point of sale functionality with stringent inventory management, a detailed colour and size matrix, vouchers, gift cards and a built-in loyalty system powered by comprehensive reporting that is automated and delivered directly to your inbox. The system proved to be user friendly, yet feature rich enough to provide the control that the business needed. I am very excited to branch into other avenues like distributing my collections through other channels and I know the KCS Retail solution can support this part of my business too. Pet Masters implemented the Kerridge CS (KCS) Retail solution in 2013 and have been happy with the system and level of service received ever since! 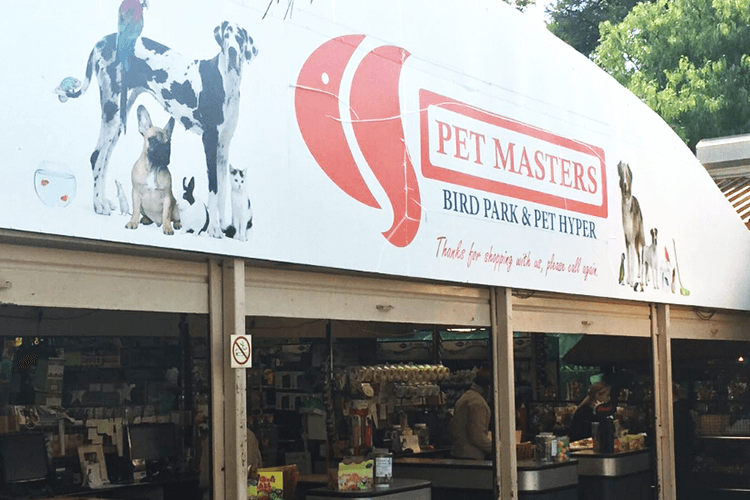 Pet Masters, the largest pet retailer in Southern Africa, are synonymous with the supply of a variety of top end pet products, expert advice, toys, and livestock. Their head-office with on premise bird park is based in Boksburg. Customers can enjoy a quick bite to eat at their Blue Crane Tea garden while admiring a wide variety of birds. Pet Masters has two additional stores, one in Alberton and the other in Pretoria, which also offer a great customer experience. In 2013 Pet Masters began looking for a user-friendly retail system that would offer centralised control from their head-office, allowing them to save costs and aid their buying and replenishment process, as well as reward their customers with a loyalty programme. Functionalities like vouchers and gift cards, as well as accurate reporting, were also deemed important. The system that they had previously been using had become redundant and was not being developed or properly supported any further. Financial Director, Roelof Coertse, selected the Kerridge CS Retail solution as their system of choice as it is built on a centralised head-office, with a user friendly point of sale interface, built in loyalty and gift card functionality, with suggested re-ordering for accurate replenishment. It gave them all the features a modern-day retailer should benefit from, like remote access as well as integrated EFT. Customer loyalty is becoming increasingly important at Pet Masters and they look forward to implementing KCS’s loyalty functionality later this year. 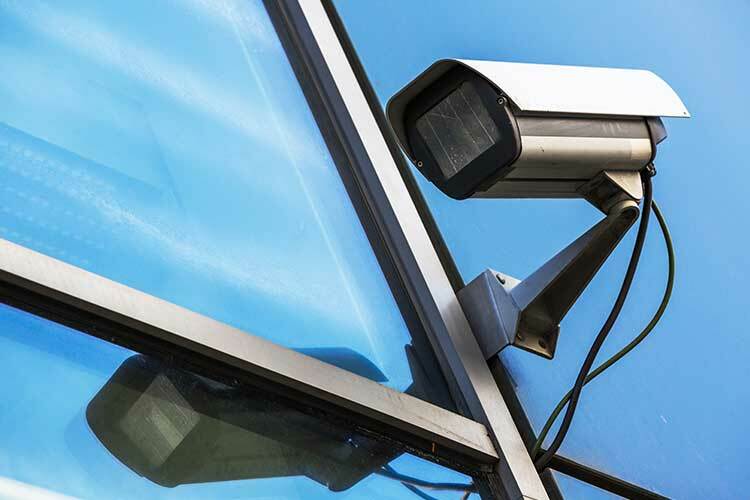 KCS’s product also offers time and attendance as part of its core functionality, which can also be used to authorise overrides and discounts, affording further control over the business, even when staff are not on site. Pet Masters are, additionally, running with the Payroll & HR software offered by KCS which allows them to process payroll, payslips and reports, as well as SARS reconciliations. They have been able to do away with manual tax reconciliation and have replaced it with automated reconciliation. Through the Payroll solution offered by KCS, Pet Masters have been able to pay the right amount of money to the right people, at the right time. We are very happy with the choice we made regarding KCS as we now have one supplier with the necessary skills and knowledge for both our retail stores and our payroll and that’s not very common. We look forward to a long-standing relationship far into the future. 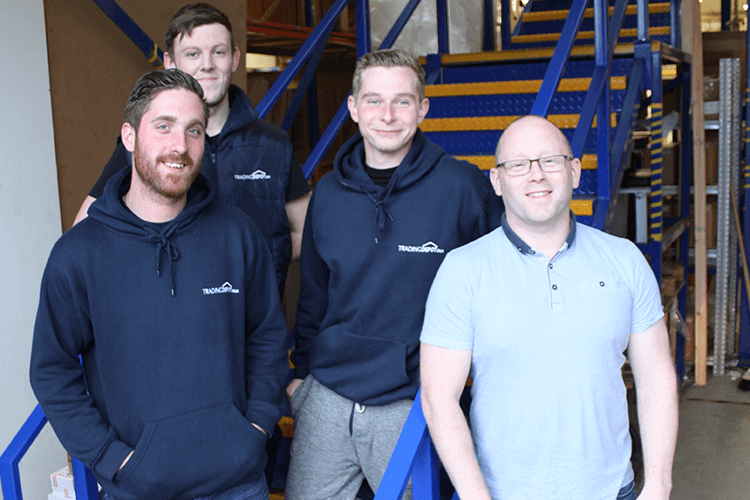 The relationship between Raven Roofing Supplies and Kerridge Commercial Systems (KCS) goes back to 2004 when the company started to use an early KCS trading system alongside its accountancy package. I’m in no doubt that the results of the past five years have been partly attributable to how well we have made use of the system and our partnership with KCS. Carrol Boyes is the founder, creator and CEO of Carrol Boyes Retail (Pty) Ltd in Cape Town. Her high-end deftly crafted and coveted product range of upmarket home and lifestyle products is associated with inimitable and unique design that exudes style and finesse and are available throughout South Africa and in over 30 other countries around the world. 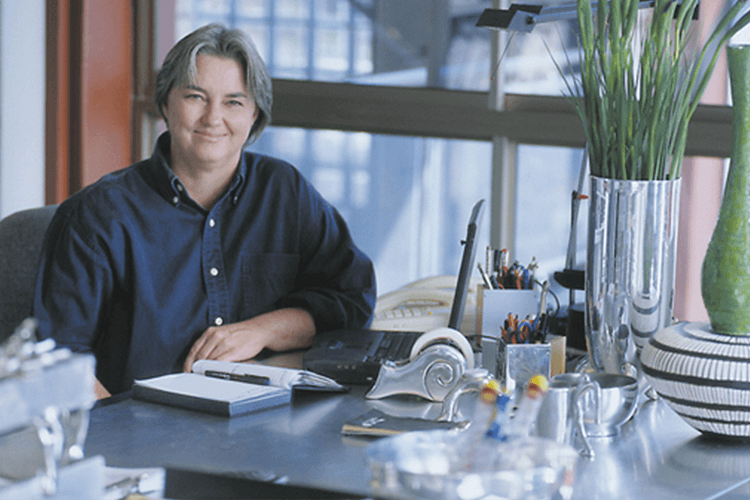 Establishing a strategic partnership with KCS in 2009, Carrol Boyes opted to implement the KCS Retail solution to her existing store base at the time, which comprised of a centralised head-office and 9 stores. The KCS Retail solution is designed to fulfill the requirements of retailers that have multiple stores with varied locations and retail complexities. It supports inventory management for both stores and central warehouses, enabling retailers to easily expand their retail operations. Carrol Boyes concluded; “Implementing the KCS Retail solution has resulted in us having daily live data at our fingertips which in this day and age is vital in our decision making as trends and designs continue to change”. 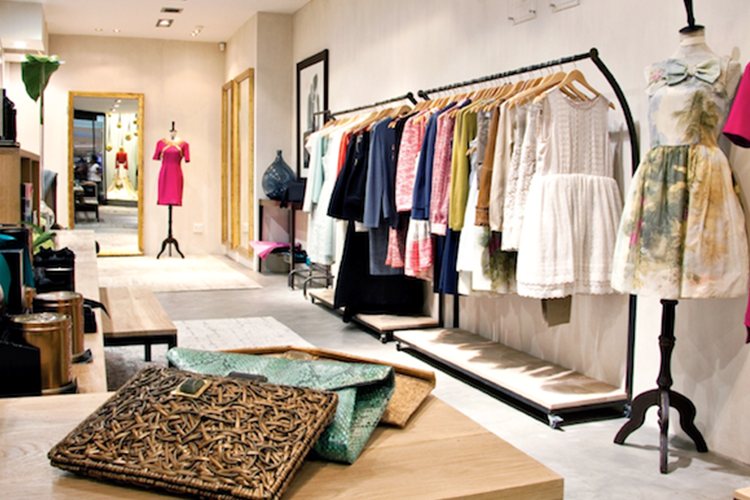 With its user-friendly point of sale interface, we were able to implement the KCS Retail solution into all stores allowing for seamless in-store processes, with accurate live reporting back to head-office. 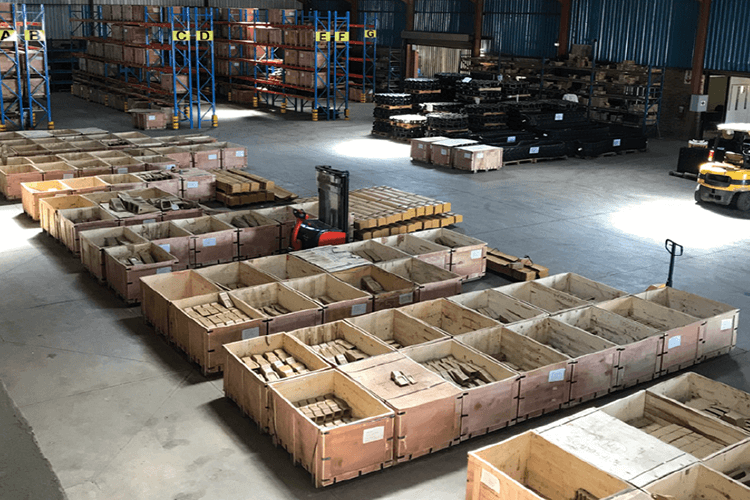 Spec-Cast Wear Parts has nearly tripled in size since 2015, therefore they required a system that could better manage their operations and financials. K8 provides the support for further growth of the business with a system that will offer the controls and efficiencies required. Spec-Cast Wear Parts (Pty) Ltd was founded in 1986, specialising in the manufacture and supply of patterns and casting to the railway industry with replacement parts for coaches, wagons and locomotives. In 2005, Spec-Cast launched a new division - Spec-Cast Wear Parts (Pty) Ltd, supplying replacement wear parts for the construction, mining and agriculture sectors. Kerridge Commercial Systems (KCS) first established a strategic long-term relationship with Spec-Cast Wear Parts in 2015. 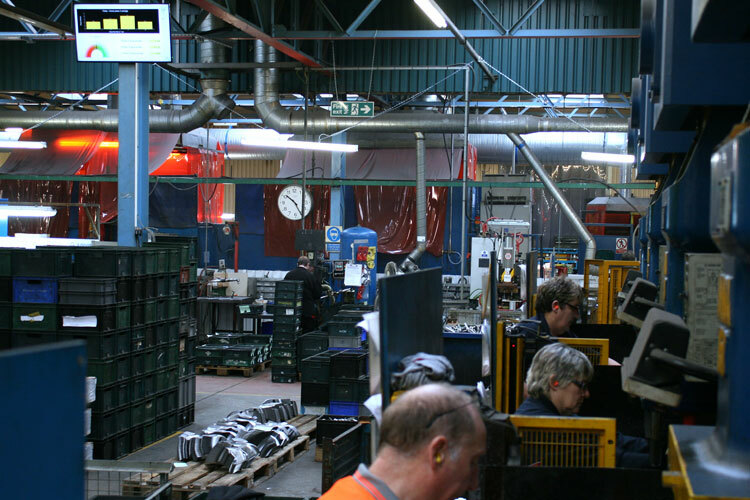 Spec-Cast Wear Parts realised the need for a comprehensive, fully integrated ERP system after experiencing exponential growth in the business. K8 will be replacing their legacy system, which Spec-Cast felt lacked efficient stock management functionality causing unnecessary duplication of work. Tiaan Grobbelaar, Sales Director at KCS said "We look forward to working with Spec-Cast Wear Parts and offering them the same value and expansional growth which we continue to offer our current customers. With more than 40 years in the industry, we have no doubt that Spec-Cast Wear Parts and KCS will continue to grow together". K8 offers all the functionality we need, accommodating our complex business processes. K8 offers a fully integrated non-modular ERP solution that will enable us to grow our business. Trading Depot, the online trading sister company to Grant & Stone, offers more than 48,000 product lines to a loyal and growing customer base who maintain its ‘excellent’ rating on Trustpilot, the online review community. 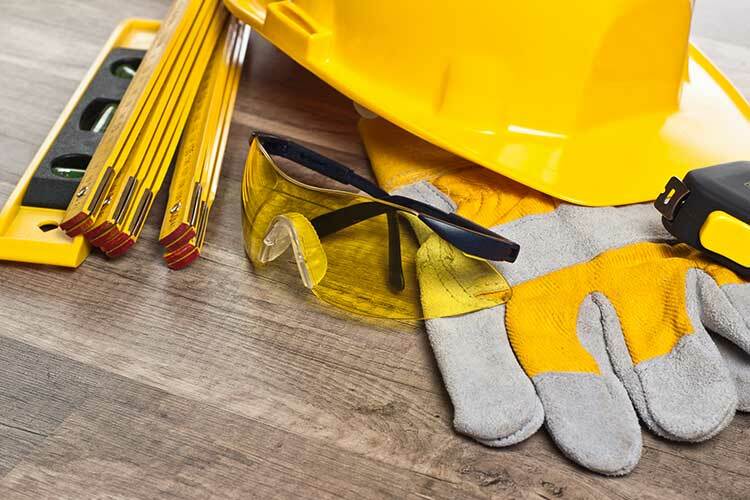 The company supplies plumbing and electrical products, sanitaryware, flooring, PVC windows and doors, some heavyside materials such as paving and more than 30,000 tools. At the front end of Trading Depot’s business is a Magento eCommerce platform that interfaces directly with their ERP system - K8 - a solution developed by Kerridge Commercial Systems. As each order is placed, the data is drawn into K8 and, if the product is in stock, a pick note is automatically produced in the warehouse and data sent to the labeller ready to print. Turnover has doubled in the seven months since K8 was implemented and, although I can’t put that all down to K8, there’s no way we could have managed the current level of business using the old system. The benefits were immediate. As orders come in from Trading Depot’s website or the company’s Amazon or eBay shop, they are automatically drawn into K8 and a pick note for goods in stock is processed with no human intervention. If part of the order is direct, a member of staff briefly intervenes to instruct K8 to send that part of the order directly to the supplier. On the old system the team had to type a separate email to the supplier along with the re-keyed customer information. We didn’t lose a single day’s business as we went live on K8, and because the system is really intuitive and we have a young, computer savvy team, we needed minimal training. This new confidence has also enabled Darren to make shipping more profitable because knowing something is definitely in stock means he can offer and charge more for a premium next day delivery service. K8 also allows Darren to take advantage of ‘buy 10’ deals because purchasing and sales can be set up separately - unlike on the old system. 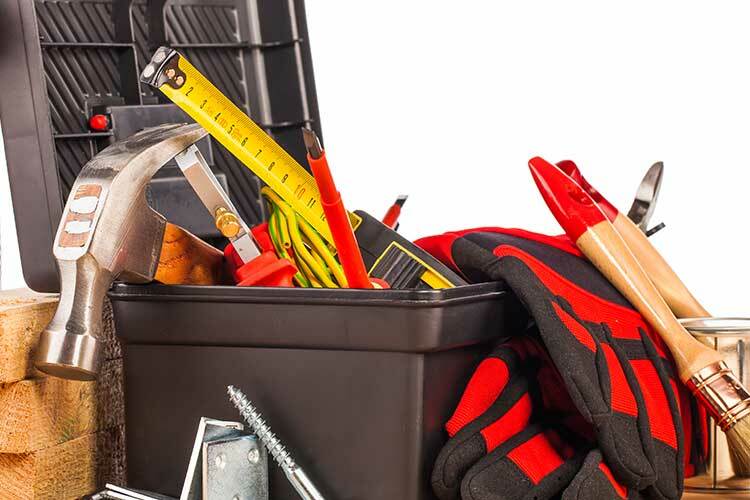 Founded in 1932, as a small timber and hardware merchant based in the centre of Amsterdam, Goedkoop Bouwmaterialen now supplies timber, kitchens, plasterboard and tools. The company’s products are used in many building renovation projects in Amsterdam and customers also include numerous DIY businesses. The family-owned, forward-thinking company installed its first computer system in 1985 – at the time trading systems for wholesalers were in their infancy. Much more recently, as a result of business growth, and the opening of an additional branch, a systems review was required. As members of Sakol, a purchasing association, Goedkoop Bouwmaterialen were recommended to take a look at K8 - one of only two systems that it had identified for its members. The result – an order was placed for K8 and installation followed. 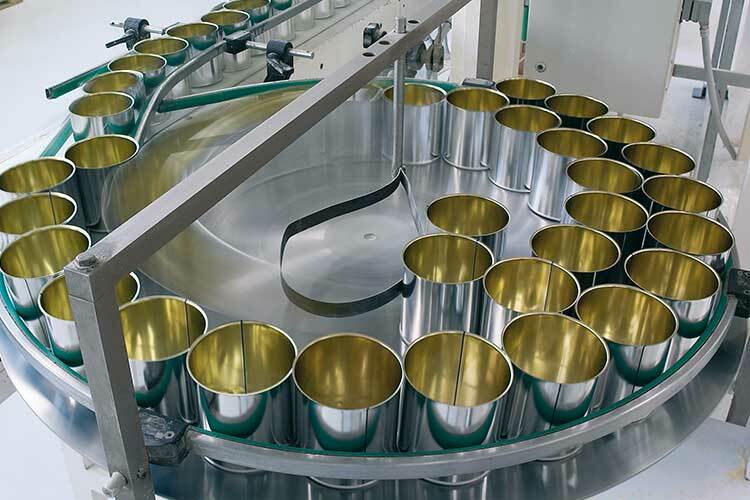 K8 ensures that we follow the correct procedures to allow a constant high level of quality. K8 is fast, easy to work with and everything can be traced back. It works perfectly. Cape Garden Centre gained control over their sales and stock management processes by implementing the Kerridge CS (KCS) Retail solution. Cape Garden Centre opted for KCS Retail due to its comprehensive retail management solution that is suited to the multi branch retail environment. Built on a centralised head-office and featuring automated updates between branches and head-office, the KCS Retail solution offers clear visibility from a stock management, transaction records and reporting perspective. 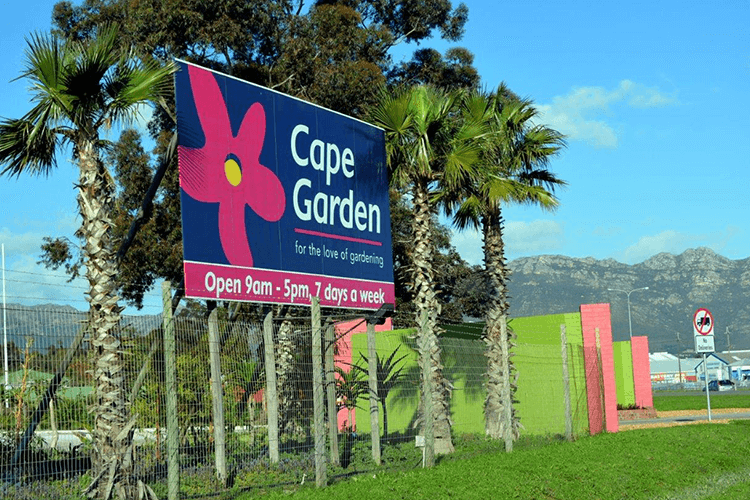 With its user-friendly point of sale interface, Cape Garden Centre were able to easily adopt the Retail solution into its various retail stores, allowing for seamless in store processes with stringent control and accurate reporting back to head-office, giving management the information they need to make informed business decisions. 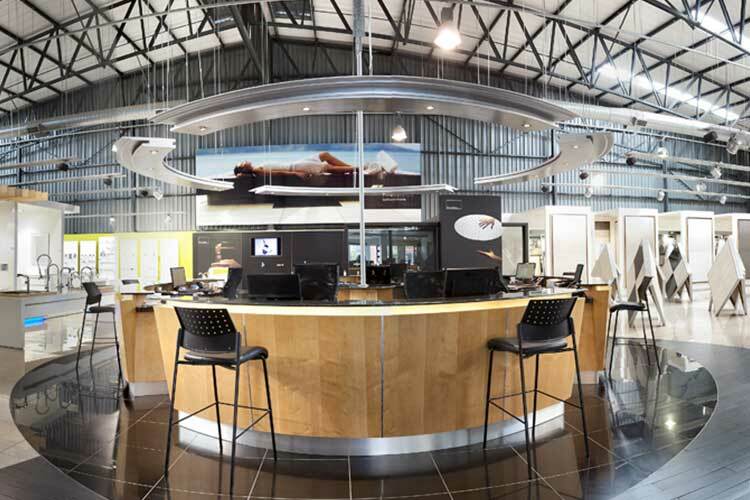 We knew we had to make the transition and the perfect time arrived when we opened our newest branch in Somerset West, where we first implemented the KCS Retail solution. Established in 1987, Manny’s Timber and Hardware’s initial focus was in the manufacturing of timber roof trusses. 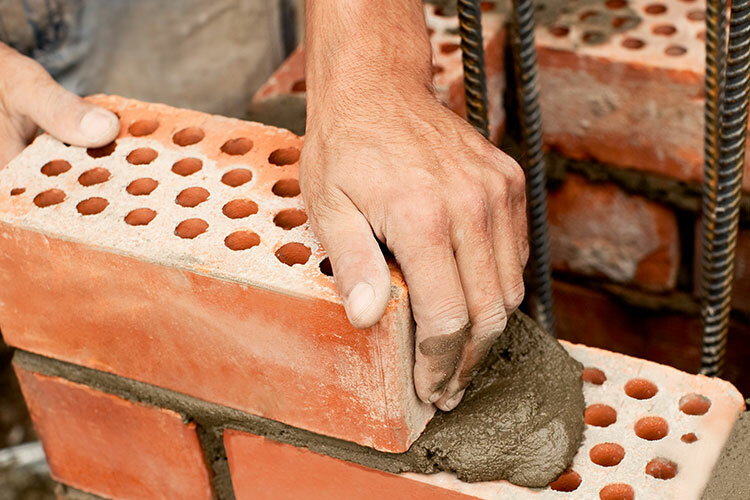 Today, they have grown into a major hardware and building materials supplier. Manny’s Timber and Hardware has been with Kerridge Commercial Systems (KCS) for nearly 10 years. KCS South Africa implemented K8 ERP in September of 2006, the implementation decision being driven by the need to streamline manual processing together with the vast number of reports that can be exported or displayed reflecting real-time information. Over the years Manny’s has found that K8 supported their growth and benefited them by providing them with improved reporting capabilities, management controls, stock management, and flexible sales & delivery methods. Recently K8 completed the integration with their existing truss manufacturing software, enabling them to avoid recapturing sales orders on K8. Once the requirements and quantities are confirmed in the truss manufacturing software, all the information can be imported into K8 for further optimisation and invoicing. Tiaan Grobbelaar, KCS Sales Manager commented “As we celebrate almost 10 years with Manny’s, we are appreciative of their support for us over the years. The K8 software will keep evolving, providing an even better timber and hardware solution to our customers. We look forward to the next 10 years of a mutually beneficial relationship with Manny’s and K8 supporting their business strategies”. Manny’s Timber and Hardware was formed in 1987 and are well known throughout the industry as a leader in maintaining good quality standards. They are also one of the largest truss manufacturers in South Africa and have been voted the best in the industry. 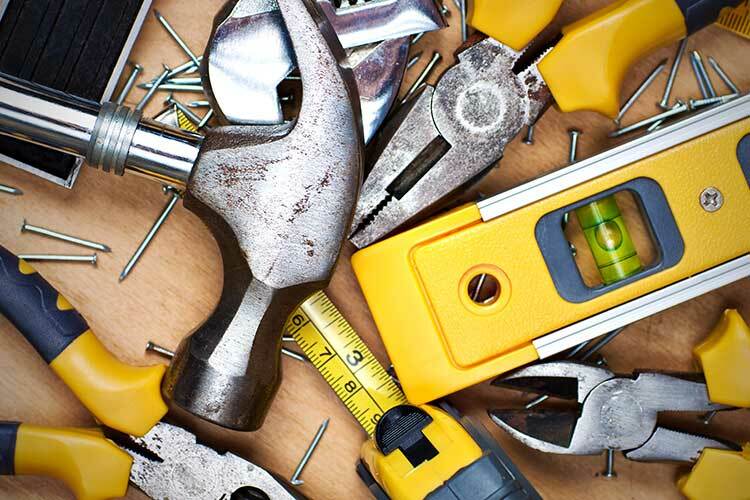 Manny’s Timber & Hardware progressed towards the supply of hardware and building materials and continues to expand their wide variety of building supplies to the contractor as well as Do-It-Yourself. Their service offerings extend even further to include full onsite design and manufacture of kitchens and BICs. 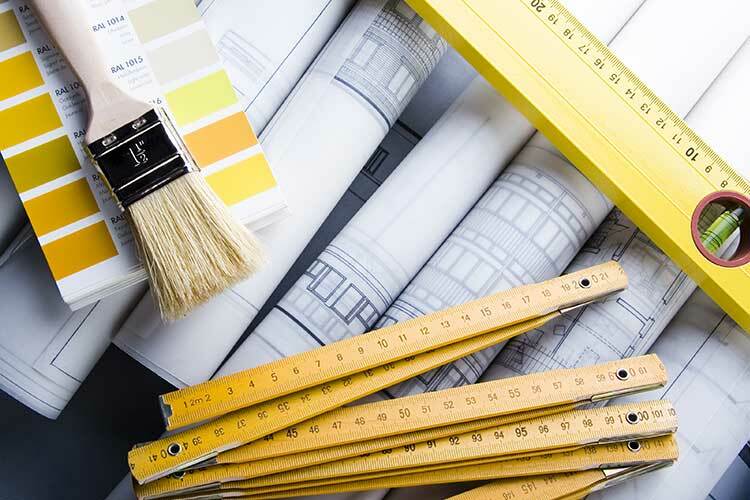 Their professional services range from design estimating to feasibility studies, from small extension work to major contractual projects. 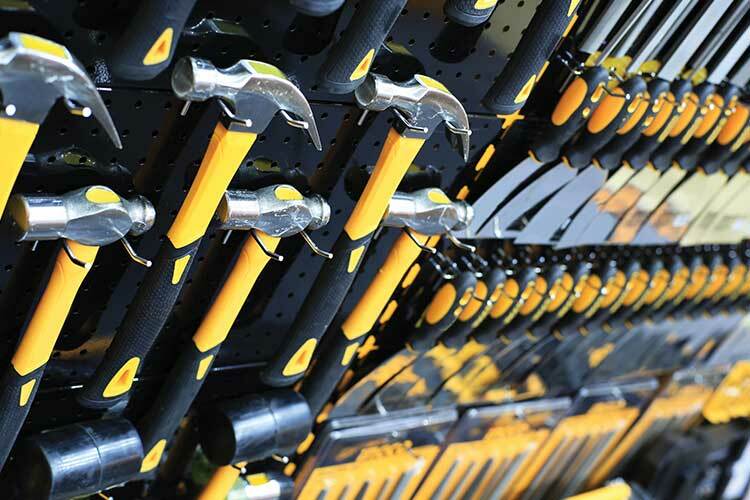 Manny’s Timber & Hardware, situated in Brentwood Park, Benoni, is open to the public 7 days a week. Welcome to your one stop shop for all your building needs. 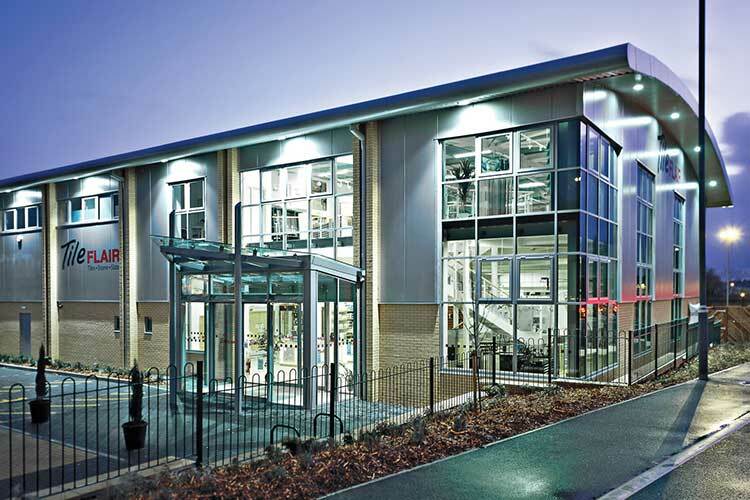 We have a great relationship with Kerridge Commercial Systems, there is so much flexibility within the K8 system and we are always improving our system functionality. 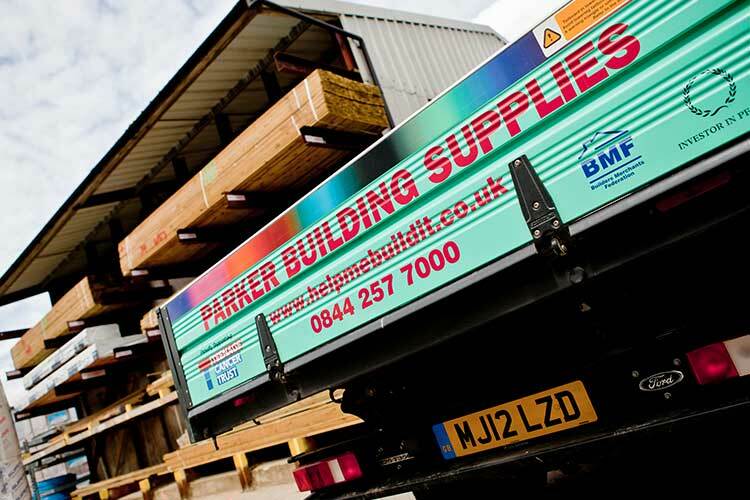 Builders Supplies (West Coast) Ltd, are a successful, independent, heavy-side builders’ merchant, with depots in Fleetwood, Cleveleys, Preston and Morecambe with plumbing and heating products available in Fleetwood. The company prides itself on excellent customer service levels and high stock availability. Builders Supplies (West Coast) realised the significance of investing in a new computer system, such a project was also going to be something of a culture change for the company. The requirements were for a supplier who understood the industry, a system that would be fully maintained and progressed with an upgrade path and a total ‘one-stop’ services solution. Having evaluated several contenders, a short list was identified and detailed reviews were conducted. Ultimately, only Kerridge Commercial Systems met the criteria and an order was placed for K8. Among the deciding factors were the company’s excellent customer relationships. Kerridge Commercial Systems portrays itself as a professional, forward-thinking company. It is an organisation of substance and integrity who we consider to be a key partner for our future growth. 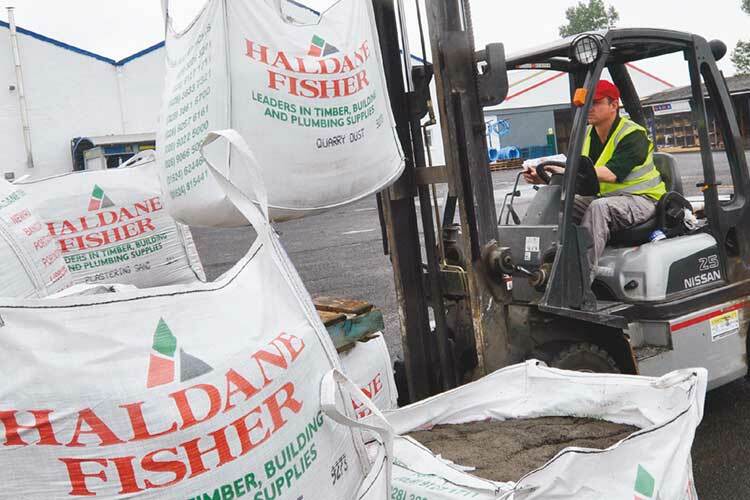 Founded in 1946, family-owned Haldane Fisher Ltd is one of the UK’s leading independent suppliers to the construction industry. 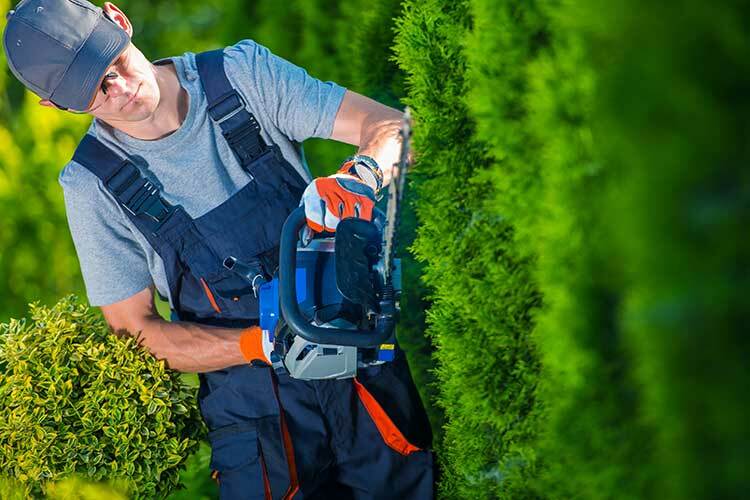 Serving the trade and general public as well as operating a timber business, with fifteen branches in Northern Ireland, England and the Isle of Man. 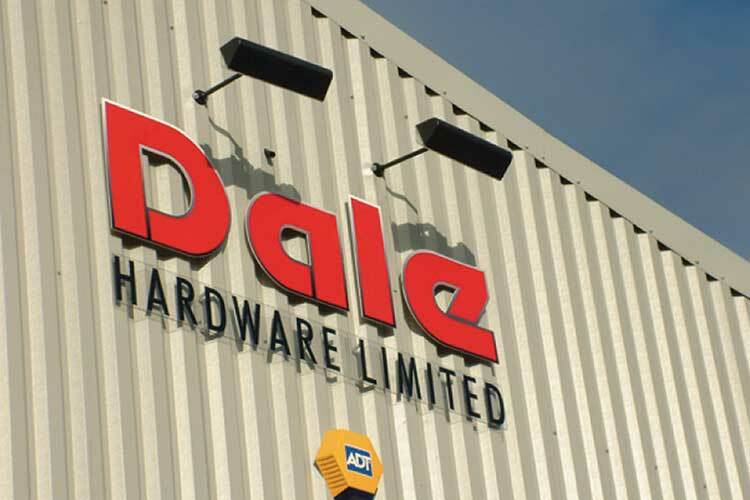 Prior to installing K8, Haldene Fisher had several disparate systems which needed replacing. The essential requirement was for an integral solution to control the business finances and provide improvements in management information capabilities. The company also needed a system which would enable international trading – notably for the company’s timber import business. The Haldene Fisher K8 system has 200+ users. Kerridge Commercial Systems is a very professional organisation. The experience of their consultants is not to be under-estimated. “We strive to provide the best equipment we possibly can for our staff - from the trucks they drive to the IT systems they use,” he explained. 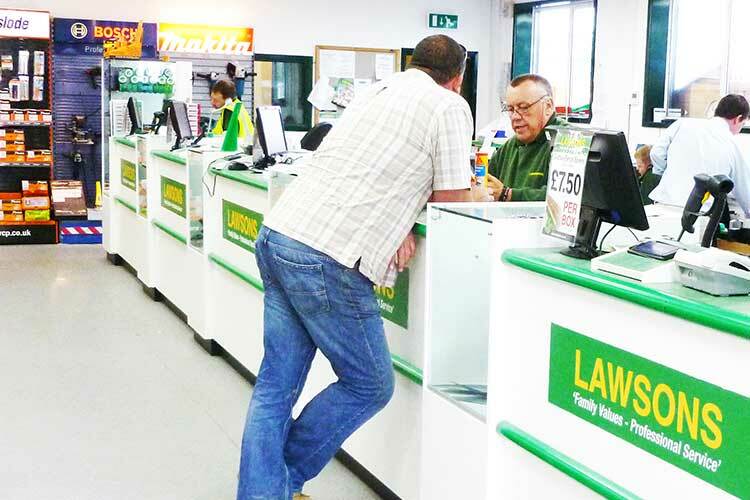 K8 processes around 3,000 transactions each day for Lawsons and manages 8,000 customer accounts. The company was one of the earliest users of the software and switched to the system in 1999 when its previous provider couldn’t guarantee ‘year 2K’ compliance. The initial 40 user system has grown and there are now 190 K8 users across 17 sites. The IT team always upgrades to the latest version of the software as soon as it’s available. The last K8 upgrade also delivered two key features for Jeremy. The first being PCI (Payment Card Industry) compliant chip and pin integration that will replace non-integrated PDQ machines. All card transactions can be processed directly in K8 using PODS that read the cards - leading to tighter security of transactions, fewer typing errors and quicker authorisations from the banks. The whole process went very smoothly. We handed the old system over on Saturday lunchtime and Kerridge Commercial Systems delivered the upgraded version on Sunday. The whole experience was simple, painless and positive! 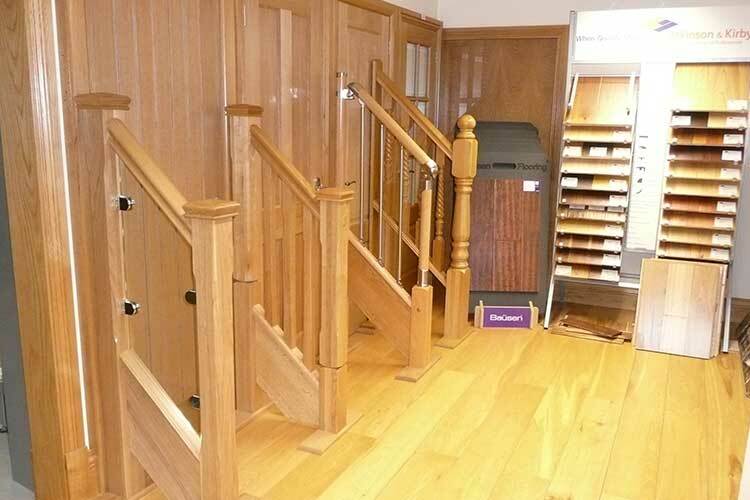 A long-established family-run business with over 50 years’ experience, Nottage Joinery has a wealth of knowledge of the timber industry and the manufacture of high class, bespoke joinery. Based in Bridgend, serving South Wales, the company’s customers include contractors, local authorities, trade and the general public. Prior to implementing K8, Nottage Joinery reached the point where they had outgrown their systems. The controls, the level of integration and functionality required for a developing business were no longer adequate. Moreover, the software lacked the capabilities to handle the complexities of timber purchasing, stock control and customer sale transactions. 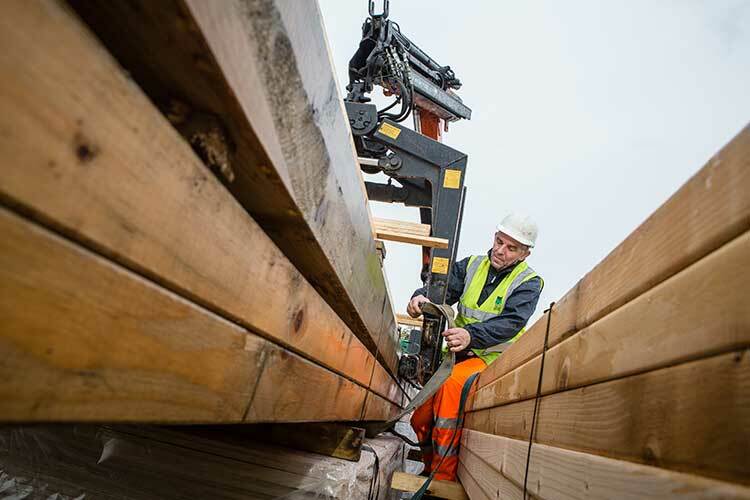 The company chose K8 for several reasons: In addition to being able to partner with a systems supplier who understood the timber trade, K8 also had the proven reputation through its use in the timber sector. 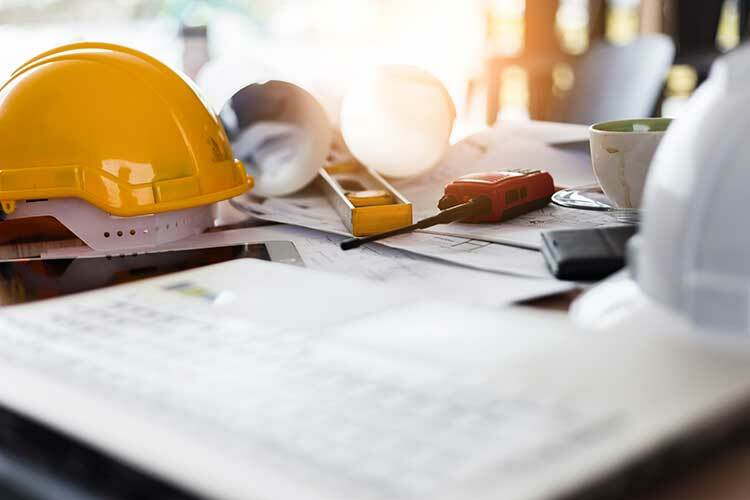 As a functionally-rich, integrated solution, K8 would enable Nottage Joinery to develop, improve customer services and enhance business management processes in every area. Having considered other systems, the company judged K8 as being the system that met their requirements, would deliver the best results and was ‘on budget’. 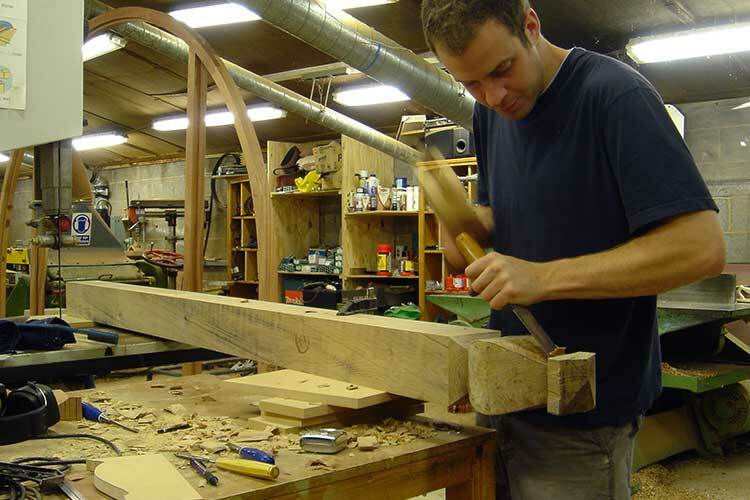 Going live in 2009, although there were a few challenges getting used to the system, Nottage Joinery staff put the work in with K8 and the company has moved on. The system has supported sales growth, helped to identify best performing products and enabled the company to maintain a competitive and professional edge. 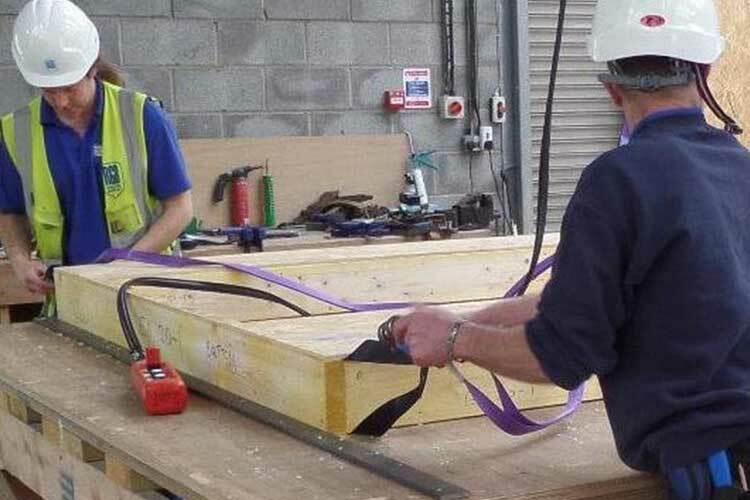 Overall, Nottage Joinery believes that K8 has helped them to become a better company. K8 has enabled us to become a much more professional company. A company that operates 642+ branches and manages 450,000 trade accounts clearly needs robust software to ensure sales are processed efficiently and inventory is managed visibly and accurately. 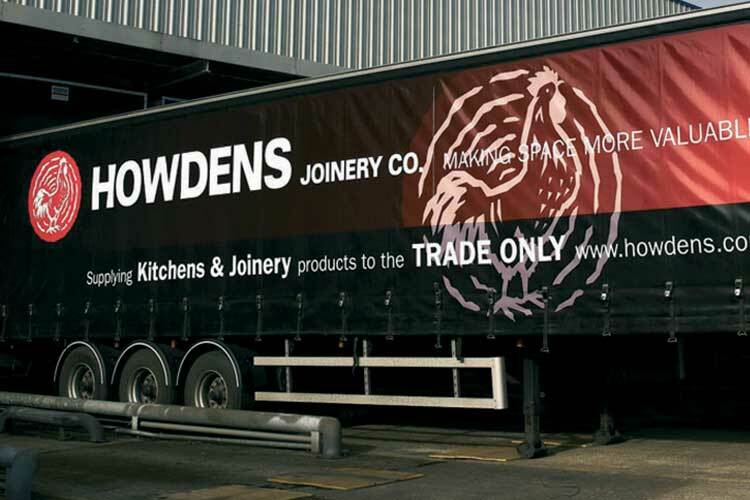 Ten years ago Howdens Joinery chose K8, an ERP (Enterprise Resource Planning) solution developed by Kerridge Commercial Systems (KCS) to replace its ageing legacy system. Since then the relationship between the two companies has evolved into a strong partnership that has seen the KCS team working closely with Howdens to help them achieve their business objectives and regular reviews to plan future strategic developments. In terms of technical scalability K8 is ready to go from 1 depot to 600+. It can be used just as effectively by small businesses as by large operations like ours. - Clive Cockburn, CIO, Howdens Joinery Co.
ELTA Automotive is a major component importer and distributor based in the West Midlands and holds the UK licence for the Lucas Electrical brand. 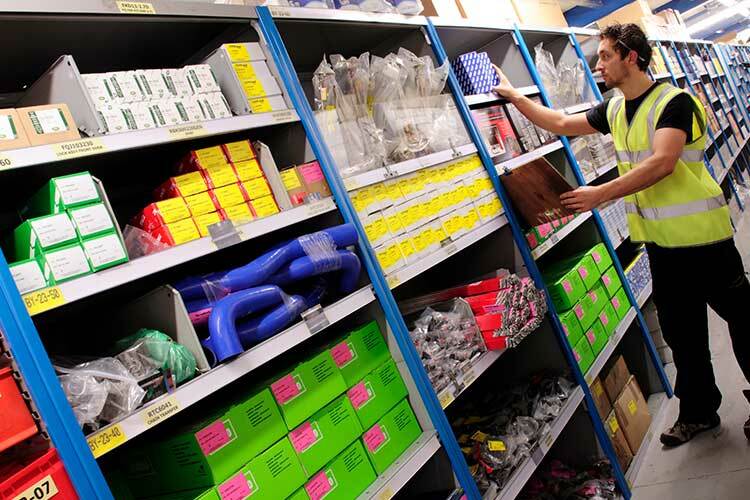 Established in 1993, Elta supplies around 2,000 motor factors and accessory shops from its central warehouse in Coleshill. Stuart recommended K8 to his managing director because, as well as being a system that was fast and easy to use, he liked how Kerridge Commercial Systems (KCS) was a ‘one product’ company, committed to developing its core K8 solution. He was also reassured by KCS’s automotive heritage and how several large companies in the industry were already using it successfully. There is now complete visibility of the supply chain. 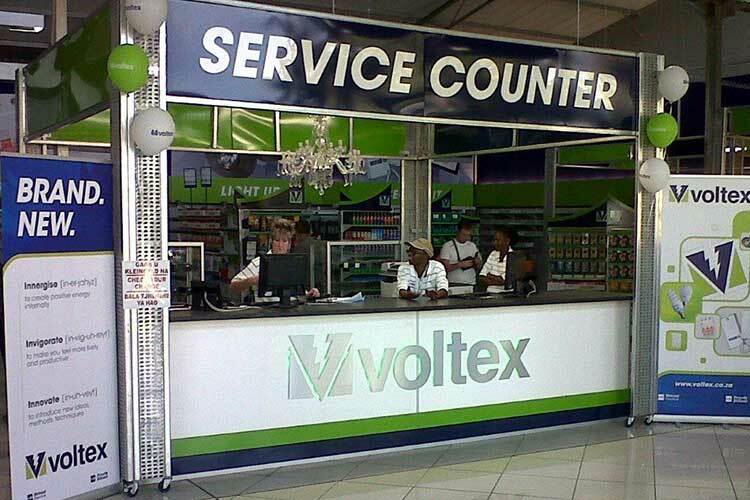 Customer service is improved through fast, accurate response to stock enquiries. Pick and stock adjustment errors are now minimal. Reversing costs when customers return products is easy. K8 helps the Elta team work faster and more efficiently. I know we made the right decision when we chose K8. We gained so much more functionality and now we work faster and much more efficiently. 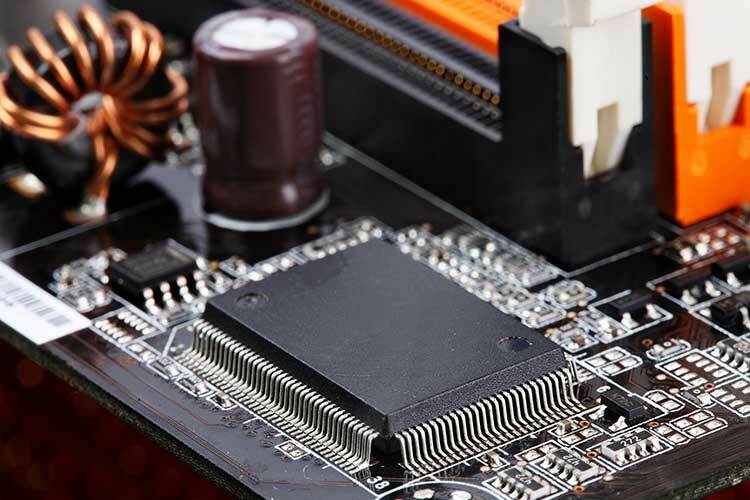 Established in 1956, Aerco is a distributor of electrical components, supplying manufacturers and service companies within the aerospace, defence, medical, industrial, rail and transportation markets throughout the world. 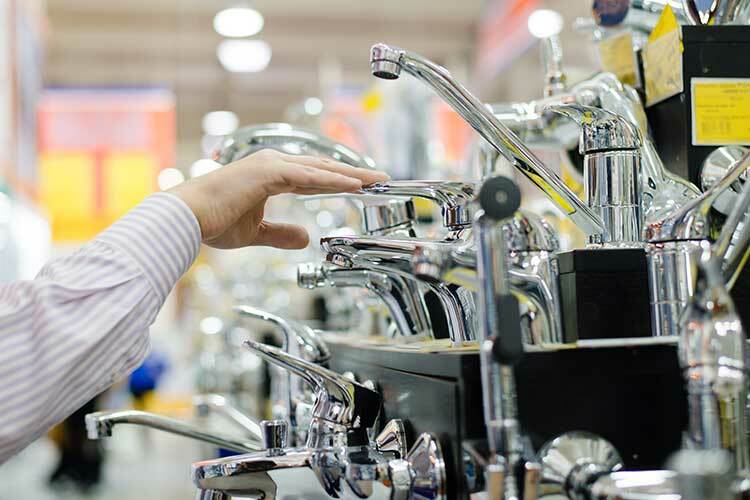 The family-owned company partners with a number of world-class manufacturers to offer customers over 35 different franchise names and 10,000 product lines. 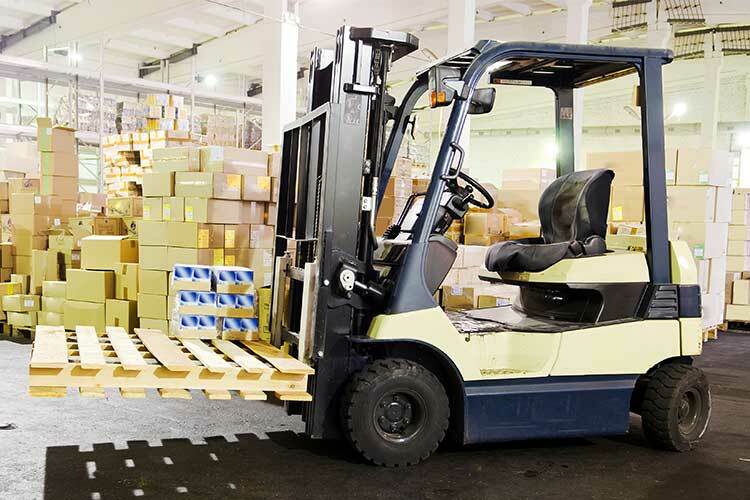 With its ever-growing product range, it became obvious that manual systems were not going to be able to handle the complexities of a modern, highly competitive distribution business. The management team decided to invest in a new, integrated system to support supply chain, stock control and accounting functions. 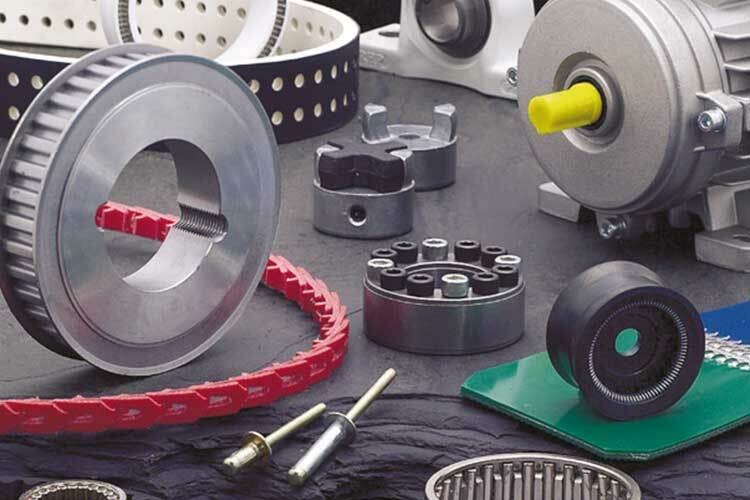 Bearing Man, a bearing shop, opened in Durban in 1974 and gradually expanded its service and product offerings to include more than just bearings - a range of globally recognised brands of engineering products and components. 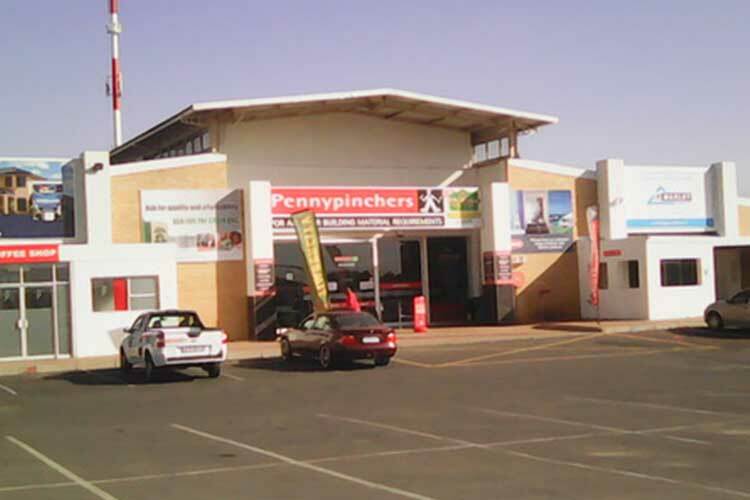 The company, which now has more than 100 branches in South Africa, acquired Fenner Power Transmission distribution 1998, Invicta Bearings in 2000, Springset in 2004 and Oscillating Systems Technology in 2005. In addition to South Africa, Bearing Man operates in Namibia, Swaziland, Zambia, Botswana and Mozambique. Kerridge Commercial Systems (KCS) is pleased to announce that Ark Trading Namibia is live on K8. Ark Trading was established in 1980, and is one of the oldest suppliers to the building trade in Windhoek Namibia. Ark Trading stocks everything from the spade to dig the foundation to the rolling ridge for the roof, including the nails and hammer to nail it in. 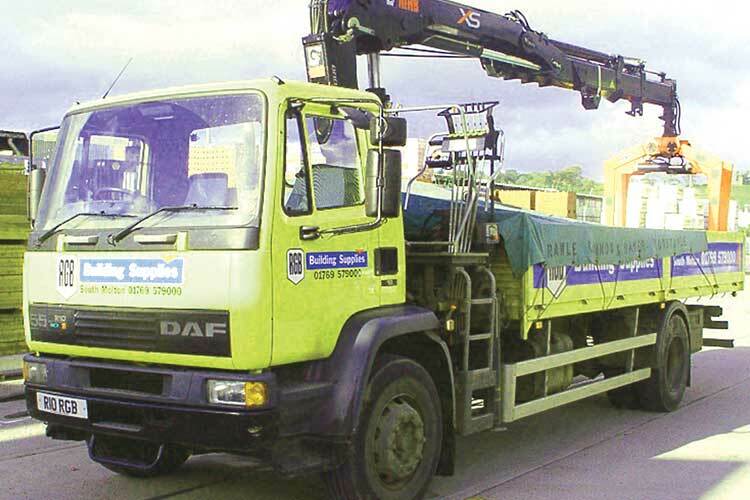 They also supply sand, gravel and cement, doors, window frames, paint, plumbing supplies and sanitary ware. Paul Koster bought the business in late 2015, and the Namibian Competition Commission awarded a last minute approval to him, to start trading from the 1st January 2016. Paul wished to start trading the new business on a new ERP system. This meant that the KCS team had to work under time constraints to configure the system. They pulled it off however, and the K8 system was live at the first week of trading. Paul has had some previous experience on the trading side of K8. He contributed by helping his staff with training and supporting them with issues, in order to ensure a smooth go-live with minimal disruption to the business. Ark Trading is looking forward to continuing to build the business partnership with KCS, and to using K8 to grow Ark Trading. I was impressed with the dedication and knowledge portrayed by the KCS team. Tilespace has been a customer of Kerridge Commercial Systems (KCS) since 2010. They have two branches. 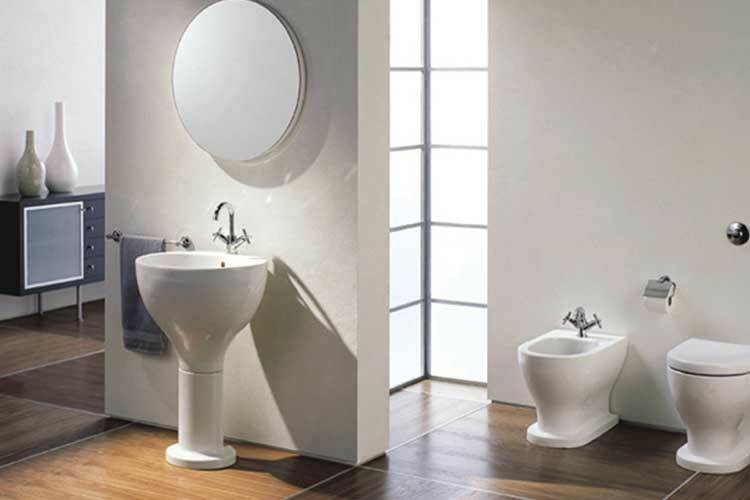 Tilespace offers an unrivalled selection of exclusive, imported brands specialising in tiles, sanitary ware, taps and fittings. They recently upgraded from K8.07 to Babbage. 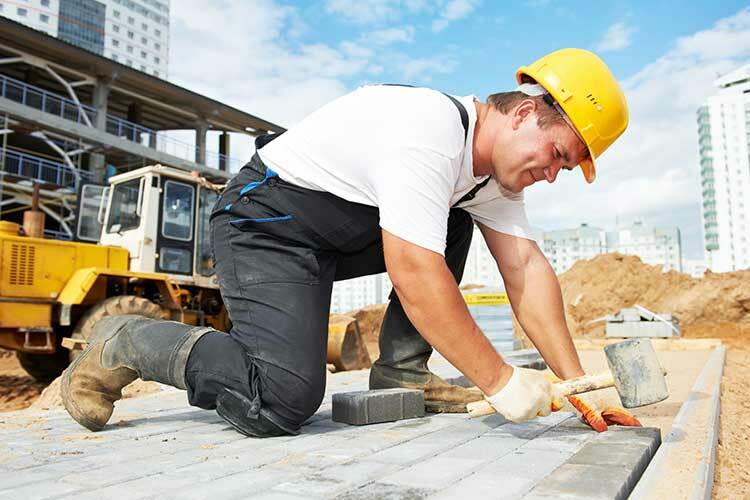 With an executive board counting on 75 years of collective industry experience and bolstered by dedicated and experienced management and staff, the collaboration has been dynamic earning TILESPACE a highly respected reputation in the marketplace. Management’s daily hands-on approach to the business has resulted in a culture of agility, intimacy and virtuosity breeding trust amongst key suppliers and long standing clients. Due to all our testing, the great team I had at Tilespace as well as Kerridge Commercial Systems, we had a very smooth Go-Live with almost zero issues. Electro tech chose K8 because it was seen as the only system that could cater for all departments within their business. Currently Electro Tech is running three separate systems; A system for their retail department, one for their admin and another for their workshop. The system will be hosted on premise and comprise of fifteen K8 users. Mr. Hardy Spoerer, Managing Director Says “We currently have to run multiple systems to manage the various aspects of our business. With K8, I can have one version of the truth. We will definitively also be utilizing the e-commerce product as soon as K8 has stabilized throughout the business." Kerridge Commercial Systems (KCS) will be installing one central consolidated system across all three branches that will help manage sales margin, and improve customer service. The sales staff will be able to view stock in the other locations while dealing with the customer. K8’s central forecasting tool will help Electro Tech stock more effectively, and will reduce stockholding. Buy outs functionality will improve their customer service and management. 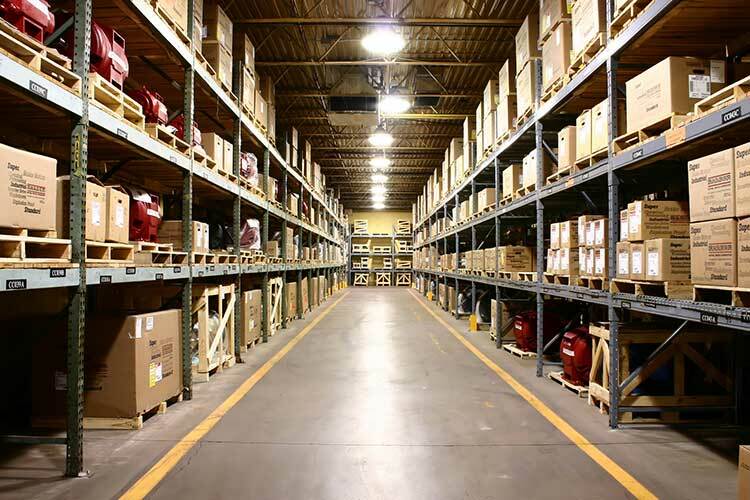 The integration between sales and purchase control will ensure that an item is linked to a customer so it can’t end up as dead stock in the back of the warehouse. In addition, K8’s low bandwidth true thin client technology, means that branches in Prosperita and Swakopmund can connect without installing bigger internet connections or 3rd party middleware. 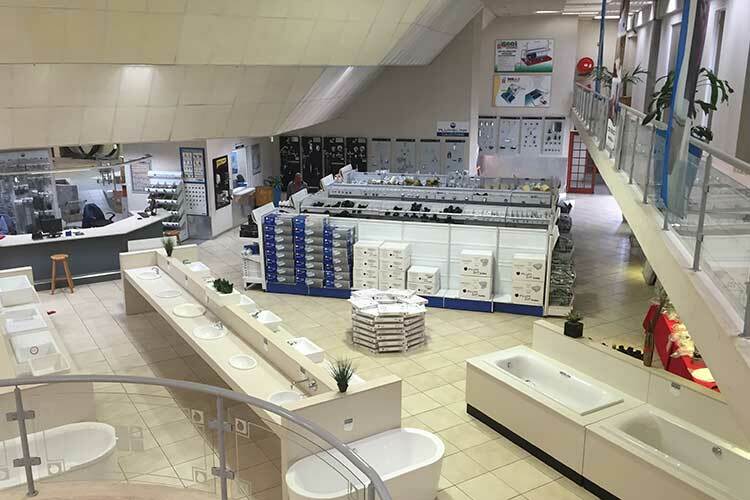 Tiaan Grobbelaar, Sales Manager of KCS South Africa commented: “K8 has had a long history of success in the electrical product distribution market sector. 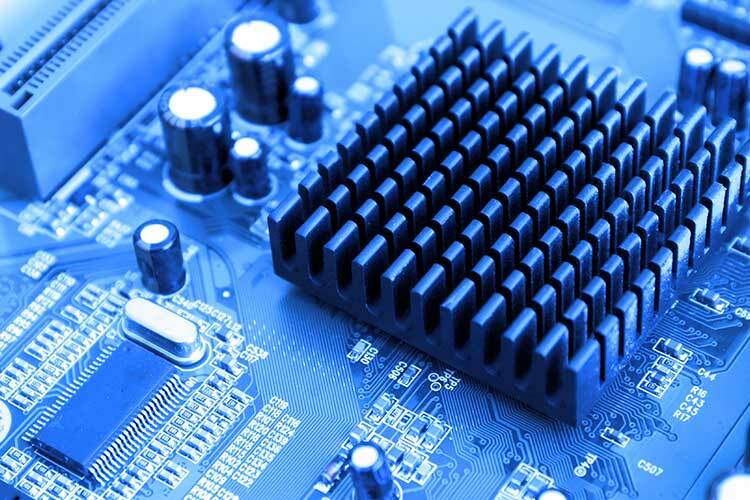 We are confident that Electrotech will thrive on our functionality rich ERP platform. K8 excels at multi-site trading and consolidation, giving customers and decision makers a singular view of stock, sales, financials and purchasing. 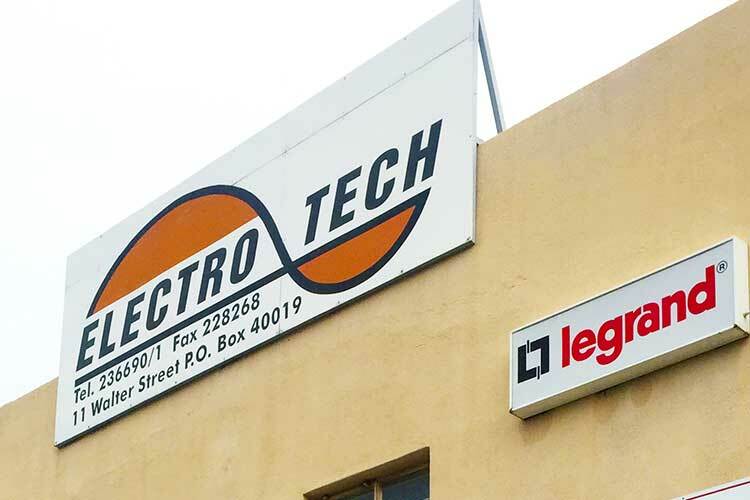 We welcome Electotech to our ever growing Namibian family. 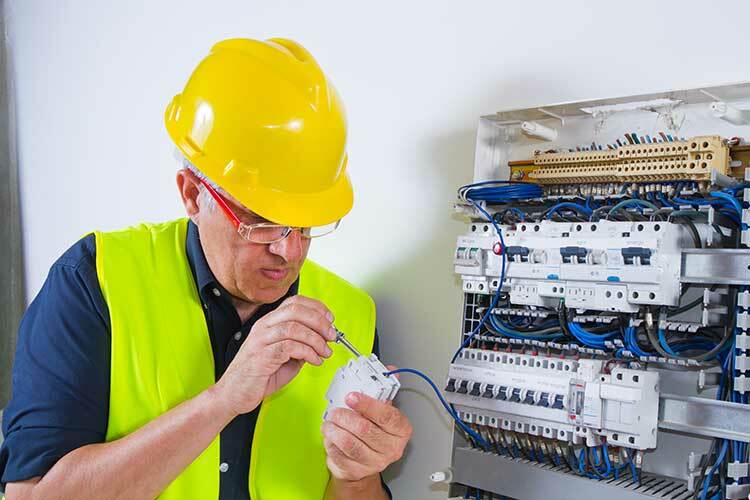 Their products range from low voltage distribution switchgear, motor control products, electronic soft starters, variable speed drives, programmable logic controller to control boards and automation systems. 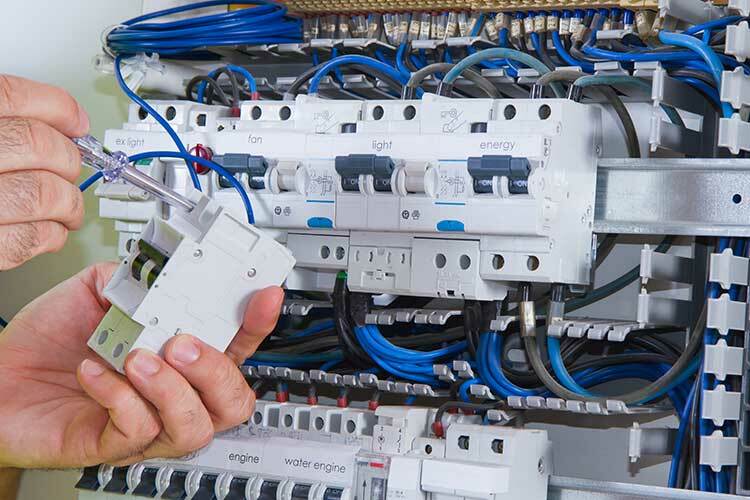 In addition to their product supply, they also offer the following services; electric network analysing and reporting, UPS maintenance and repair, generator set maintenance and repair, low voltage distribution board design and manufacturing as well as electrical control board design and manufacturing. We currently have to run multiple systems to manage the various aspects of our business. With K8, I will have one version of the truth. According to General Manager, Jonathan Nanson, what differentiates the company from its competitors is its high standard of customer service, the expertise of its staff and its extensive and impressive range of high quality products. “We have a very low turnover of staff and, having been based in Fulham for around 20 years, we’re very much part of the social fabric of the community,” he said. Additional showroom space has been created by the recent development of the company’s period building’s extensive basement, which has provided an astonishing labyrinth of floor and wall space on which to display large format products in varying sizes, colours and finishes. Our sales team find it smooth and simple to use and it quickly becomes second nature to new staff. They can find products on the system quickly, what customers have ordered in the past - and from what batch - as everything gets recorded in the system. 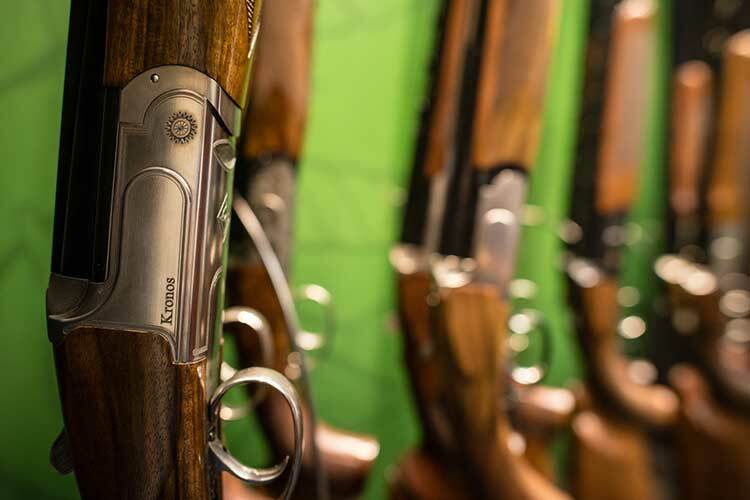 Established in 1947, Macclesfield-based Edgar Brothers is a leading distributor and retailer of firearms and ammunition. The company is now preparing to implement K8 with a go live scheduled for January 2016. Edgar Brothers’ customers include shooting sports retailers, shooting grounds, police and defence sectors, professional and leisure customers. Company needed to replace their existing OneOffice system. It served the business extremely well since 1998 and supported considerable growth, however K8 had better fit for the family-owned business moving forward. Edgar Brother’s K8 project has now passed through the METIS Discovery phase - a learning process that highlighted the system’s time-saving opportunities. Now embarking on a comprehensive staff training programme for the award-winning ERP software Edgar Brothers will use a train the trainer approach to develop the required competencies and system knowledge. K8 will go live in January 2016 to coincide with the company’s financial year end. K8 will deliver everything we need on a single platform and we will be supported by an implementation team with experience of both systems. Sharing knowledge between the two platforms will be enormously beneficial. 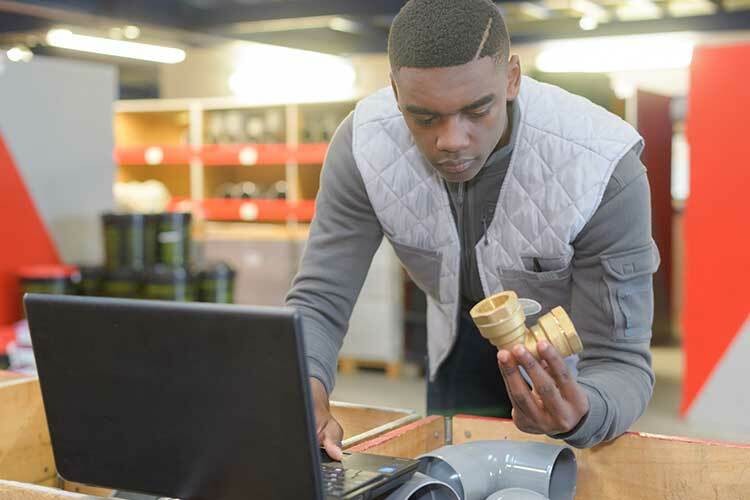 Plumblink is a leading plumbing products and sanitary ware supplier, servicing the plumbers’ trade and contract markets, as well as the insurance industry. 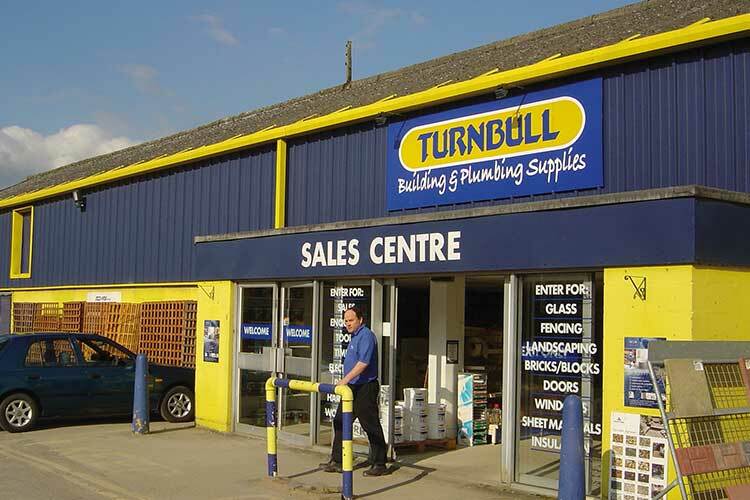 They have two different branch models; some of the larger stores with showrooms for the general customer, and smaller express stores aimed at the plumbers market. To support the growth, the business also had to adjust and formalise the stock distribution process. Kerridge Commercial Systems has provided us with an excellent tool to be closer to our value chain. 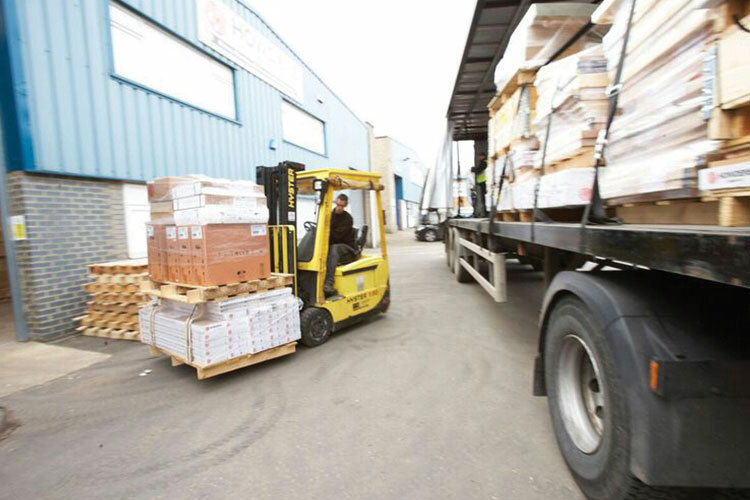 National parts distributor, FPS, delivers goods to 2,500 customers, up to 6 times daily from its National Distribution Centre in Sheffield. Around 40,000 transactions flow through the FPS business on a typical day, so having the right ERP solution in place is critical to the success of the business. 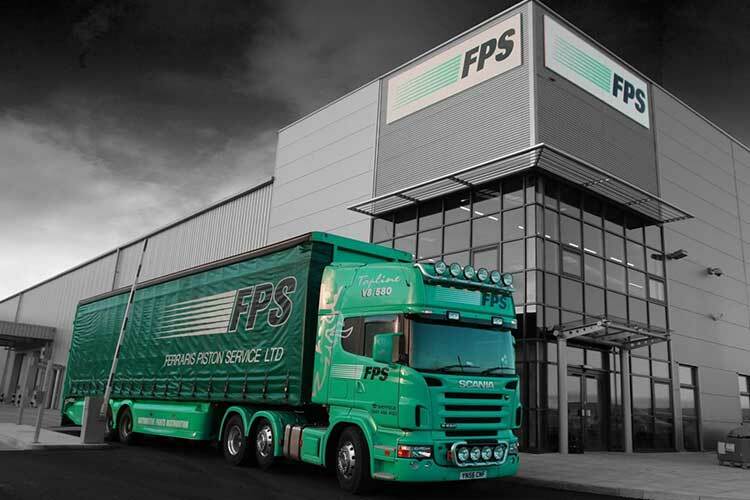 With a long reputation for excellent customer service, FPS has been in distribution and wholesaling for over 80 years and boasts a product portfolio that now spans the Automotive, Industrial, Travel & Leisure and Retail sectors. For the past 20 years, Kerridge Commercial Systems (KCS) technology has supported the flow of FPS’ ‘life-blood’, ensuring its 1,000 strong staff can efficiently and effectively manage the end-to-end processing of all transactions across its network of 22 sites. Following an evolutionary path through KCS’ advancing solutions from Rev.7 through to K8, an integral part of FPS’ strategy has been to keep their ERP system up to date so that the business can achieve operational efficiencies and continue to delight customers with excellent service. In 2015, FPS upgraded to K8 Babbage, complete with additional features and benefits including fewer user exits, new role-based permission facilities, and user-defined table functions. “With engagement, commitment and great teamwork from all stakeholders, we addressed the challenges and completed the project successfully”, concludes Jonathan Eden. Following the transition to K8 Babbage, FPS has now loaded their first feature release – a small but important step enabled by the new architecture. Jonathan Eden is also now exploring the possibility of using further modules including KCS’ Delivery Management System, Datawarehousing, CRM, and Business Intelligence to drive even greater operational efficiencies. View the FPS testimonial video. Moving to K8 Babbage was unquestionably the right strategy – we now have an efficient process for future upgrades. Routeco is an independent, privately-owned company. 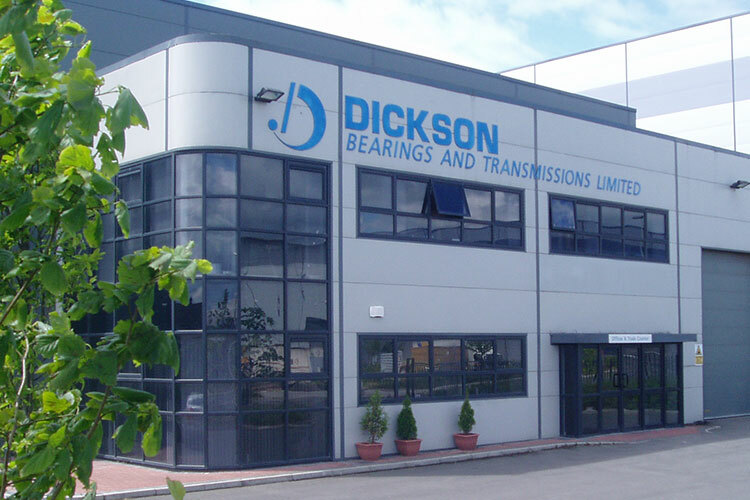 Formed in 1978, it has established itself as one of the UK`s leading distributors of industrial automation and control products with a nationwide network of sales locations. Employing over 200 staff, the company has expanded by focusing on providing customers with the best choice of products from leading manufacturers from around the world packaged together with value-added services. As the company had developed into an established industrial automation distributor, Routeco customers were expecting more support and value=added services. Part of the process was to make its MIS system more customer-orientated and flexible for the future. KPMG was employed as consultants during the discussions with the business function areas that would be affected most by a change of system. Features have led to an improved debtor day performance, and better customer service. Allmakes 4x4 is a leading international trade supplier of Land Rover parts and accessories. Supplying independent specialists for over 30 years, the company can stock every Land Rover part and also offers their exclusive range of ‘Terrafirma’ accessories. Allmakes 4x4 has contracts to supply the British armed forces and agreements with government organisations and NGO’s worldwide. Since implementing K8, the system has helped to streamline business processes and create a more efficient working environment. The Allmakes K8 Web Portal gives their global customer base the ability to access the K8 system in real time. The portal was developed using the standard API’s (Application Programming Interface) supplied by Kerridge CS. The innovative design of the Allmakes K8 Web Portal was developed with their customers’ specific needs in mind; reflecting the particular demands of the industry. 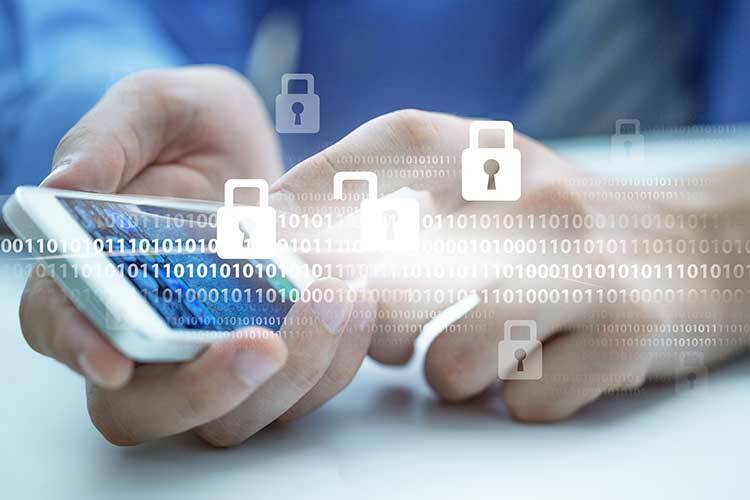 Customers from around the world get secure, real time information on pricing, stock availability, order progress, account details and statements. Most importantly they have the ability to get full product details, including supercessions, and armed with this information, they can place orders directly into the Allmakes K8 system. Allmakes report a significant increase in sales following the launch of their web portal. The largest order handled through the portal had 980 individual lines processed straight into the system without any manual intervention. For Allmakes, it isn’t just sales, it’s also enquiries which are handled over the internet, so the phones are quieter. Staff have more time to give to proactive selling. Internet trading developed with KerridgeCS has given Allmakes a real competitive advantage. K8 has provided the means to bring our business forward into the second decade of the 21st century and beyond. 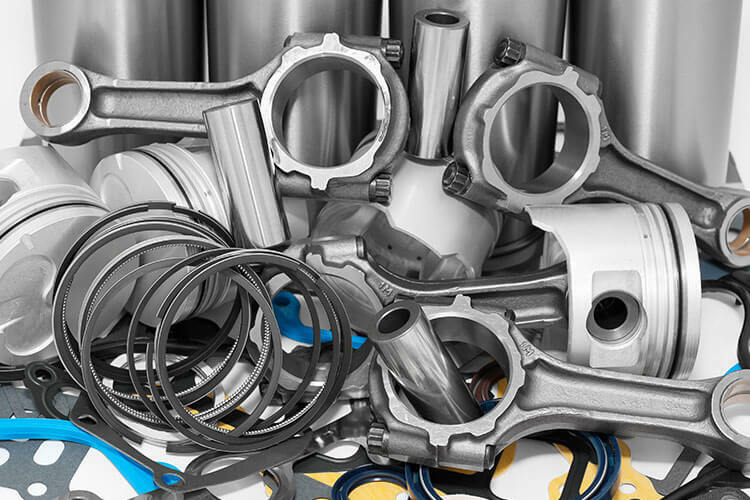 Car parts manufacturer Arlington Automotive is a division of global supply chain specialist, Arlington Industries Group Limited. 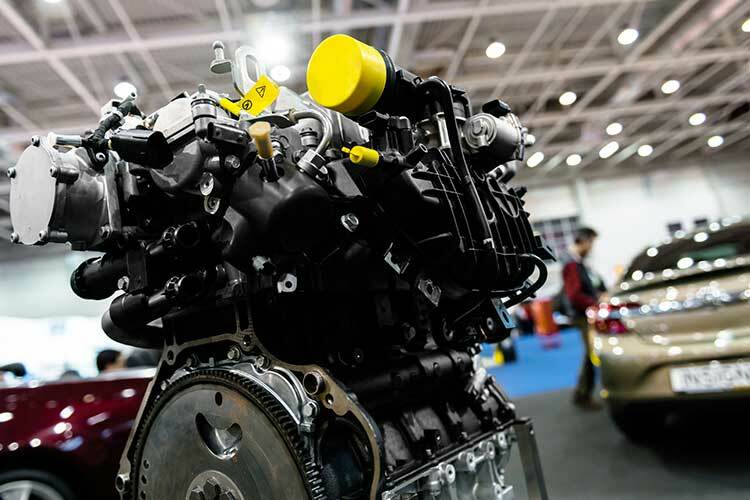 Arlington Automotive’s continued growth meant that real-time performance data was a crucial requirement. In 2016, we implemented an IoT solution to provide up-to-the-minute performance data of their machine presses, resulting in a 16% productivity gain. Before the IoT project, we had 'gut-feelings' about teams of operatives being more efficient at certain types of operations than others on certain presses, however there was no reliable performance data to substantiate this. The data provided has enabled us to optimise shifts. 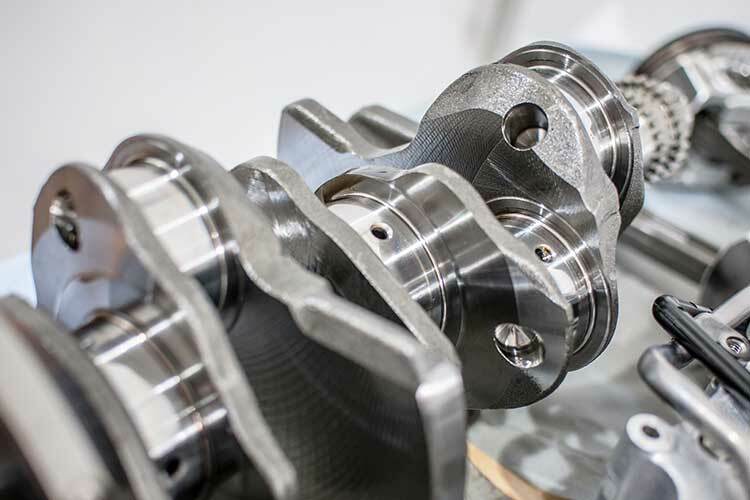 Following the initial project on just two presses, parts per machine have increased substantially and we have been able to see a 16% gain in productivity. A recent project undertaken by Pennypinchers and KCS was to improve the receiving process with a key change being the implementation of hand held scanners. The scanners link directly to K8 using a wi-fi connection and a specific K8 client so information from the scanner is updated in K8 in real time. The major benefit of this process change was being able to speed up the receiving process and get the goods on the shelves and ready for selling faster. 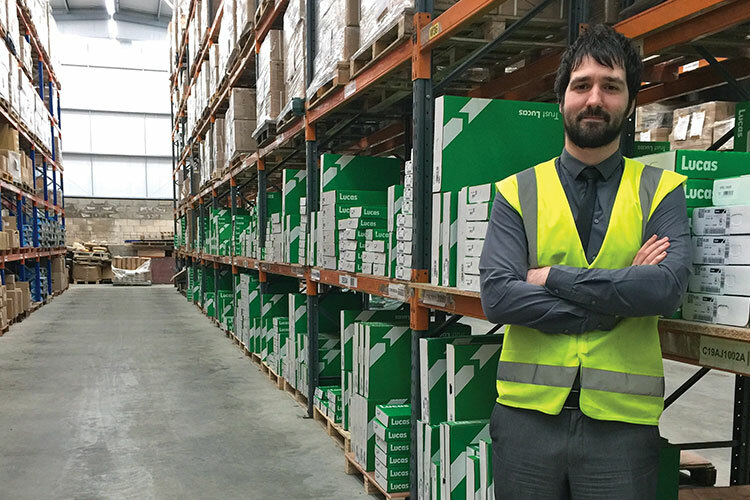 Kerridge Commercial Systems (KCS) offers ‘cutting edge software for the merchant industry’, according to Ian Mitchell at Parker Building Supplies. Ian is Information Systems Manager at the leading independent and award winning timber and heavyside builders’ merchant. 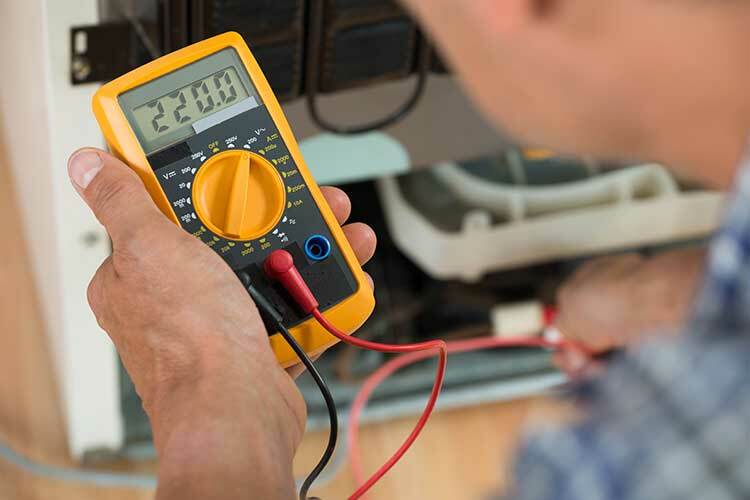 MacLean Electrical Group is a privately-owned specialist electrical wholesaler. The company originated by supplying the North Sea oil and gas market and now operates around the world with a network of alliance partners to support its global customer base. Today, MacLean Electrical Group is an International supplier of bulk electrical materials, roadway lighting systems, instrumentation and fibre optic cables for the oil, gas, petrochemical, marine and process industries. MacLean Electrical Group’s existing IT systems performed well, it was simply that the company had outgrown them. Communication, integration and access to information were critical to maintain success and profitability. The biggest challenge was to ensure that internal systems and infrastructure would not only support the business today, but also underpin the future. The decision was made to explore the market had to offer and issued an RFI (request for information) to supply chain solution providers. Has exceeded our initial requirements and opened up many new opportunities for improving processes. Established in 1918, Alfred Franks and Bartlett (AFB) were one of the first to establish a Far East import business. From its 100,000 sq ft. warehouse in St Albans, the company supplies UK retailers in the department store, fashion, homeware, discount, supermarket, health and beauty sectors. AFB also distribute internationally to Europe, Asia and the Middle East. More than just an importer distributor, the company has its own design, brand licencing and QA functions. AFB needed an integrated system that could work out all the complex costing involved with importing and landing goods. The old system also lacked the full stock control and sales information that the company required. Products can take up to a month to arrive and it was increasingly vital to have accurate, timely information on their whereabouts down to the last unit. I estimate stock management and customer service levels have shown at least a 50% improvement. 18 years later K8 is in widespread use at trade counters, and I still see it offering new and enhanced features that will help both our companies continue to grow. PASS (Passenger Agents Sales Service) operates as an independent commercial trading unit within London Transport. A multi-million pound business, PASS supplies daily, weekly and monthly passes, child rate photocards and Travelcards through a network of 2,300 agents. Most agents are small newsagents/tobacconists located throughout the London Transport area covering Greater London and the Home Counties. PASS is also responsible for bulk sales of tickets to local authorities for OAPs and students as well as to large companies for their employees. When it took over responsibilities for passes and cards, PASS found a significant difference between the physical stock of tickets in its warehouse or with agents and the recorded figures. There are some 200 different types of tickets required to cover every zone, time period and type of traveller. Since records of sales are based on a valid stock reconciliation, PASS had to undertake a full audit and revise all the records. The previous IBM System 36-based accounting system did not have the necessary capabilities and consequently PASS had to find a new system. 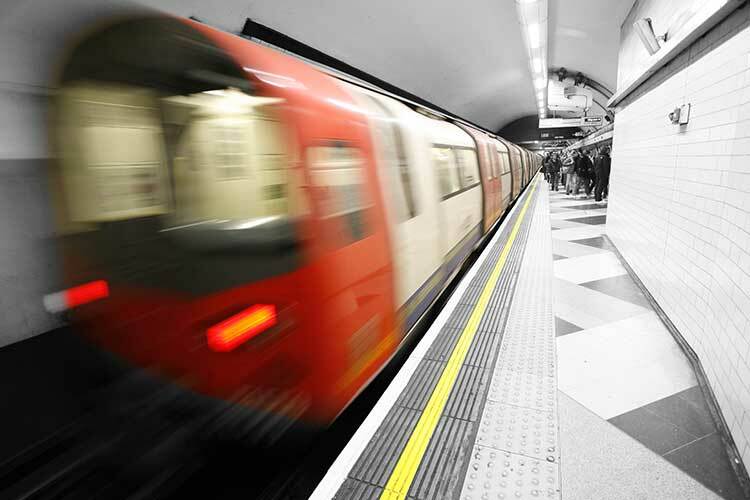 Together, we have developed a very efficient, fully functional, integrated ticket management system. 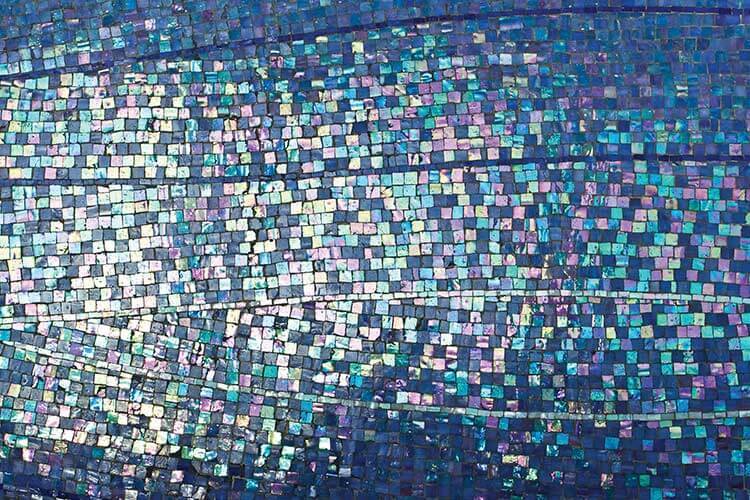 European Heritage is one of the UK's leading suppliers of high quality tiles. 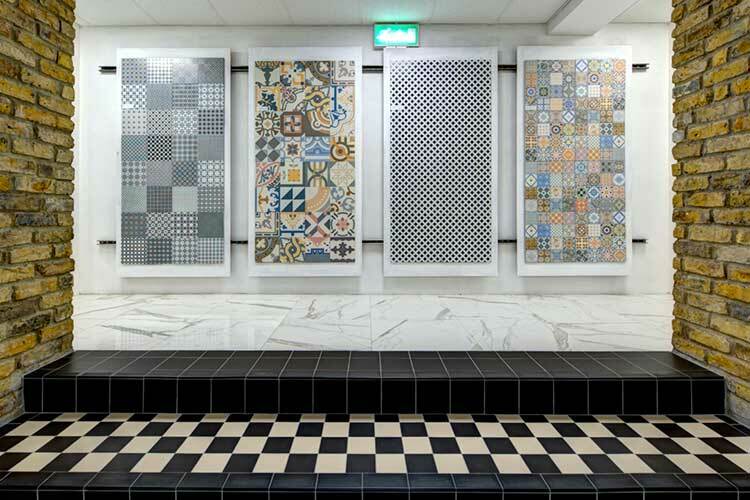 Renowned for its wide range of unusual stone products, the company’s range includes slate, travertine and limestone tiles from all over the world and also specialises in durable stone-effect porcelain tiling. European Heritage also sell wood flooring, wet room and underfloor heating products. For some time, the company had relied on manual processes. However, the existing system wasn’t working for the business and information could not be relied upon. Guided by the Tile Association and a visit to another tile distributor, European Heritage ordered K8 and went live in April 2006. 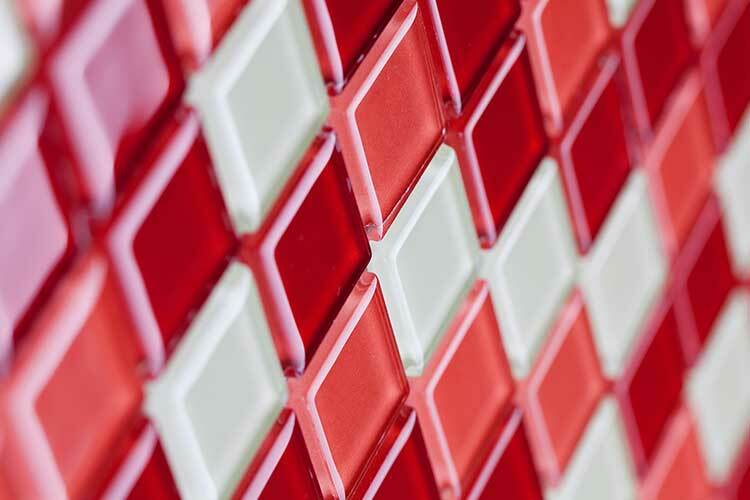 From being recommended K8, European Heritage now recommend K8 to other tile distributors. K8 has made us super-efficient - a huge asset to the business. We would never have achieved our current turnover without the right system to support us. 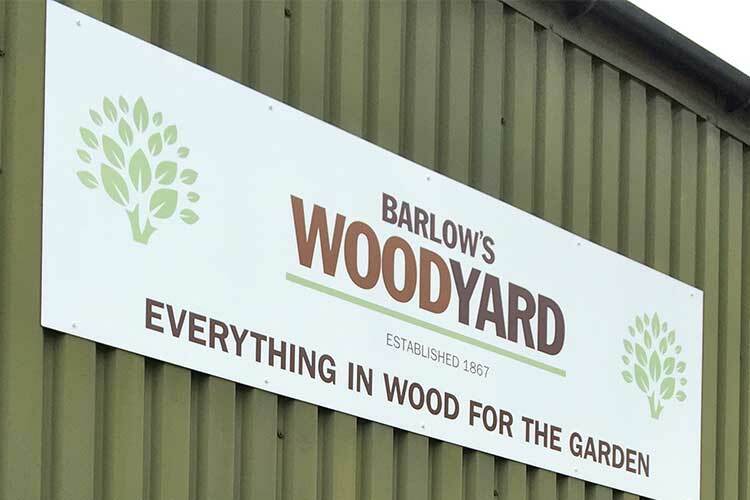 Paul Cornford, as Group Information Systems Manager, runs a team that is responsible for the IT infrastructure of the entire Howarth Timber Group, as well as the implementation and development of all the systems used by the merchant part of the business. Prior to implementing K8, MKM used a system that had come to the end of its life. The company needed to move to a modern, fully integrated and scalable system that would enable the business to expand and move forwards. MKM sought to partner with a company that understood their sector and who they could engage with for focussed product development. 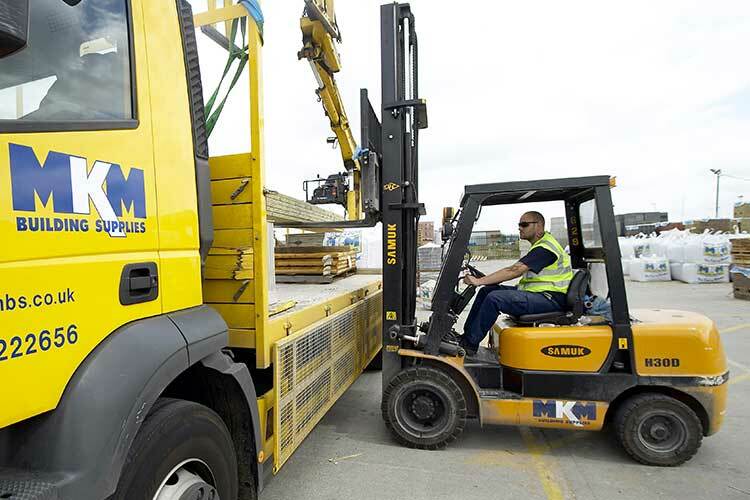 Based in Hull, MKM Building Supplies is the UK’s largest independent builders’ merchants. Established in 1996, the company, which continues to grow, currently operates 40 branches across the UK, serving in excess of 25,000 customers annually. David Kilburn, who founded the company, had previously used Kerridge Commercial Systems products, and in 2006, when the need arose to replace MKM’s text-based system, K8 was shortlisted as a prime contender. The system was first configured to run 18 branches and now has around 500 users. In addition to K8’s established reputation as a class- leading solution for the sector, one of the big plusses in moving to K8 was that MKM could have all the requisite functionality in a standard system without the need for bespoke modifications. Furthermore, as a result of using a hosted platform in place of an in-house server, the MKM IT team have been able to take care of branch-level operator training as well as local application support. It has been an important factor in MKM’s development knowing that the system’s infrastructure is being well looked after 24/7. K8 has proved itself capable of supporting the company’s principles of delivering high quality customer service. It has meant that the ‘stake-holding’ branch managers can use the system to suit their local requirements, while at the same time maintaining central control. K8, which MKM’s technical team have fine-tuned in a number of key areas, has helped the company to grow so successfully in a short period of time. K8 provides a highly stable platform which allows us to successfully transact business with virtually no downtime or operational difficulties. Virgin Media is the first provider of all four broadband, TV, mobile phone and home phone services in the UK. The company operates the most popular virtual mobile network in the UK which, when launched, was the world’s first such mobile phone service. It is also one of the UK’s largest fixed-line home phone providers. When Virgin set its sights on the mobile phone market, it knew it had to take a radically different approach from everyone else. The company set out to sell phones through all the different channels simultaneously. It meant having a back office system, linked to all sales channels, which would provide consistent stock control data, order processing and delivery. Irrespective how people contacted Virgin Mobile, they would get up-to-minute information and spot-on service. A tall order to do all the things we wanted, but so far it has delivered. 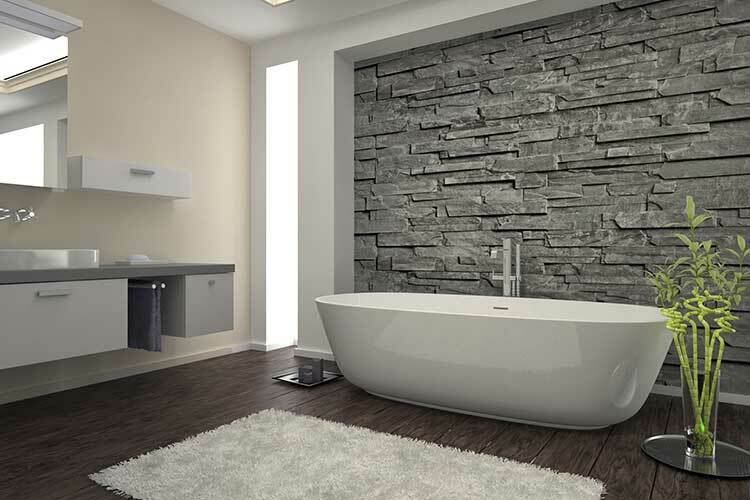 Davroc is a growing, family-run supplier of products to bathroom retailers. Forward-thinking, the company focusses on quality classic design and manufacturing. Davroc sources its products from across Europe from the finest quality suppliers. As an employer, the company promotes a very strong and traditional people-centric culture. Prior to implementing Print Manager, Davroc had 20+ dot matrix printers, a high capacity laser printer and numerous fax machines. The dot matrix printers were costly to run, time consuming to un-jam and periodically needed replacement. Furthermore, they used task-specific, pre-printed forms, each of which needed to be designed, printed, stored and replenished. Pre-printed forms are not visually modern or professional and if changes are required the whole cycle has to start all over again – often with inevitable wastage. The savings from Print Manager were immediate, around £11,000 annually, and we have reduced the number of printers in the company by 70%. Removing boxes of stationery has enabled us to convert space into a meeting room. A Kerridge Commercial Systems (KCS) customer since 1989, House of Goodness Group has progressively moved its systems forward with new software releases and additional applications. Having evaluated its requirements in conjunction with the K8 development roadmap, House of Goodness made the decision to upgrade to the latest release – K8 Babbage. A diverse group, with businesses ranging from health food and leisure, builders’ merchants and heating supplies, House of Goodness harnesses K8’s multi-company flexibility with centralised financial control. Structured to support the group’s Christian ethos, K8 runs on a single platform with minor business configuration differences to ensure consistency and conformity. From the outset, the project required that key staff had to balance day-to-day responsibilities alongside the upgrade preparations. With the need to minimise the impact for its staff, it is advantageous that K8 Babbage requires minimal ‘up front’ user training. In the build-up stage, test and training systems were set up on the group’s existing server platform; confidence and familiarity with the software being essential to the success of the upgrade. Preparations were completed with a final test conversion followed by the go live itself. “Taking a measured approach, we were able to complete tasks such as user acceptance testing in parallel with operational duties. Guided and supported by KCS, the whole project; which involved all group businesses, went pretty smoothly”, said Nick. Finance Director, Hilary Oldham said: “For our diverse group, systems integration is fundamental and that’s where K8 scores highest. The system works well across multiple sites and being able to have role-based user workplaces accommodates our range of businesses very well. For basic practicalities, such as document scanning, K8 makes it easy for anyone to view delivery notes and invoices. This is enormously beneficial, saving us time and therefore cost.” The company said that its main objective is to improve efficiency – being able to access key information using K8 is a major contributor for processes to run more smoothly. “We also want to encourage more TBS customers to use our online facilities, said Nick. As a business for which flexibility and tight control are essential, House of Goodness is focused on getting the most from K8. The system also helps the group to deliver a quality customer service and adhere to its Christian ethos. The group’s businesses comprise Good Timber, Good Welding and Fabrications, Goodness Foods, HDA Architecture, New Creation Farm, Skaino Services, TBS Building Supplies and White & Bishop. All employees are members of the Jesus Fellowship – the group’s origins were to provide employment for community members, extending to support its property and other assets. The browser client in particular; being able to access the system from mobile devices will save time and effort for our warehouse staff. The latest Web Builder integration – enhanced in this release, is set to further our online trading channel initiatives. In terms of specifics, improvements in direct debit collection processes will save us around 15 hours per month and foreign exchange payments will be easier to manage. Overall, K8 Babbage is also stricter in terms of financial disciplines.